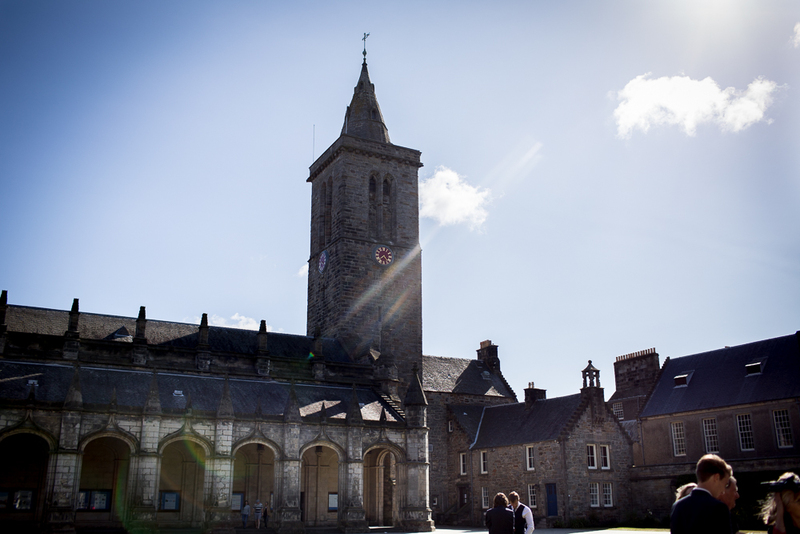 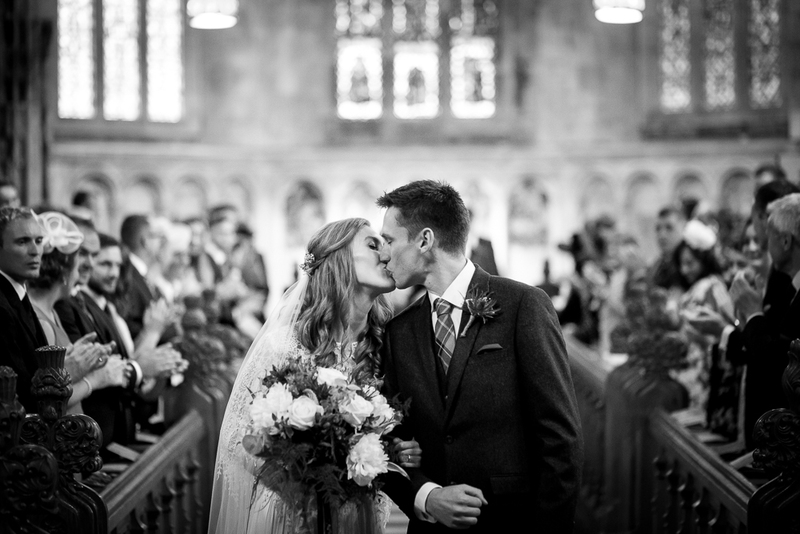 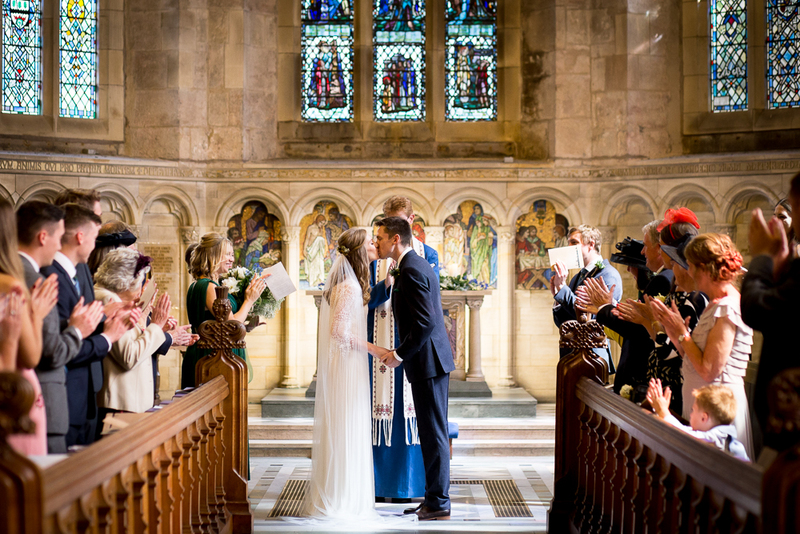 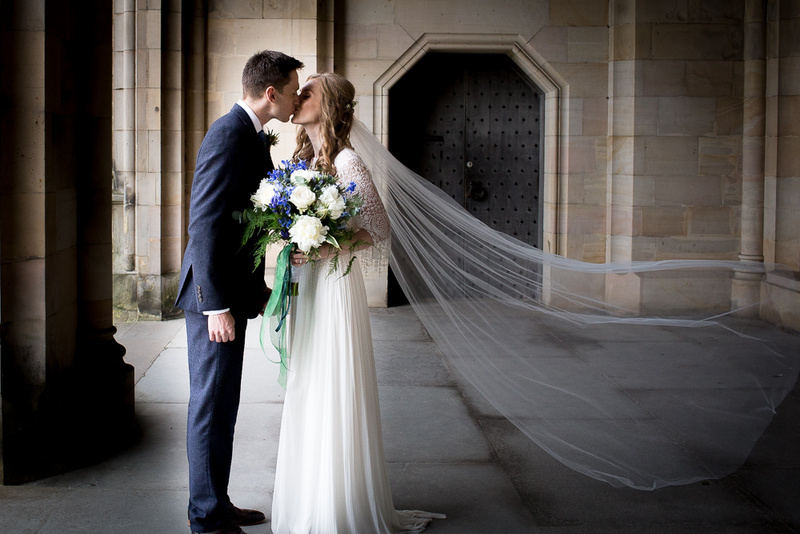 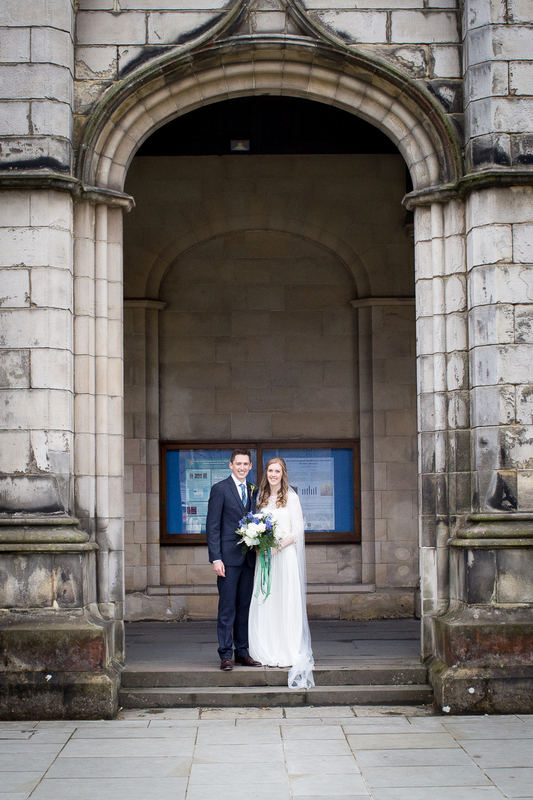 Renowned as the UK’s top matchmaking university – St Andrews more than lives up to this accolade on the blog today, with bride and groom, Laura and Tom so taken by this special location – the place where they first met – that they chose tie the knot here in July. 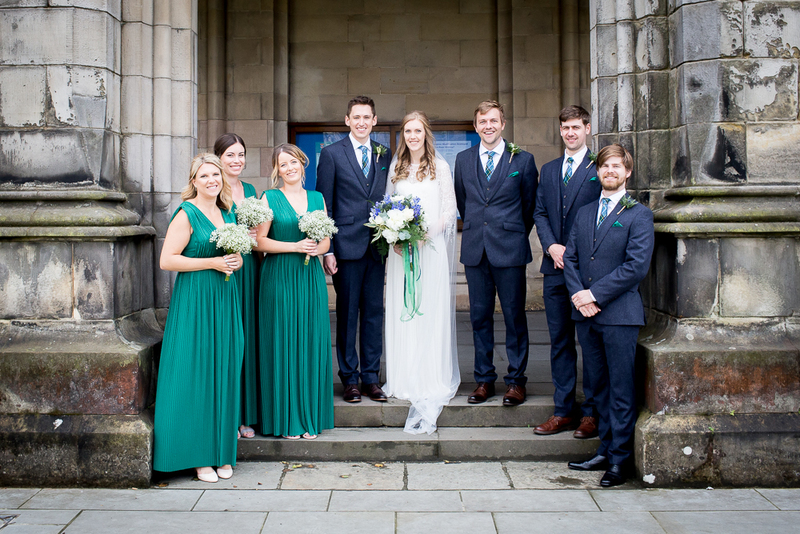 Opting for a natural, simple look for their big day, the Laxey Manx tartan – a nod to Laura’s heritage – was a prominent feature in their décor and styling, featuring on everything from their wedding favours and bunting to the centrepieces and the groomsmen’s attire. 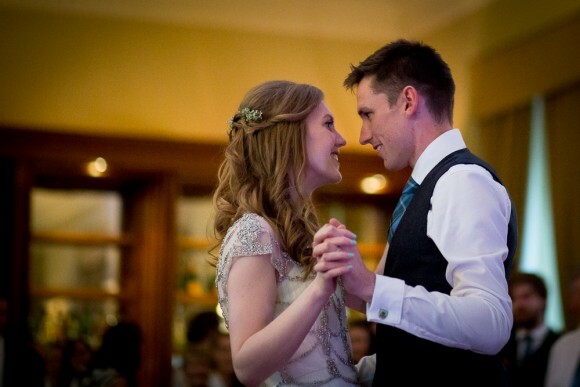 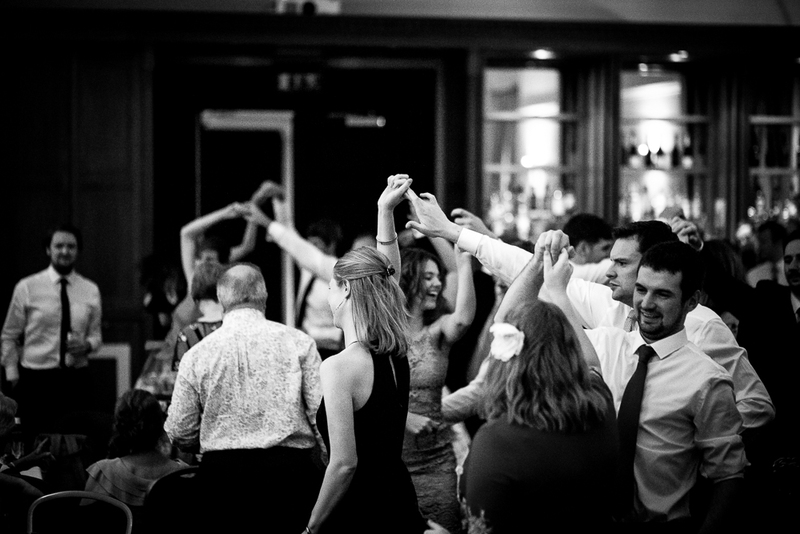 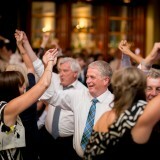 Of course, no Scottish wedding would be complete without a ceilidh – and the couple squeezed in a few nostalgic throwbacks too, sourcing their wedding cake from their favourite bakery as well as ice cream from a local parlour. 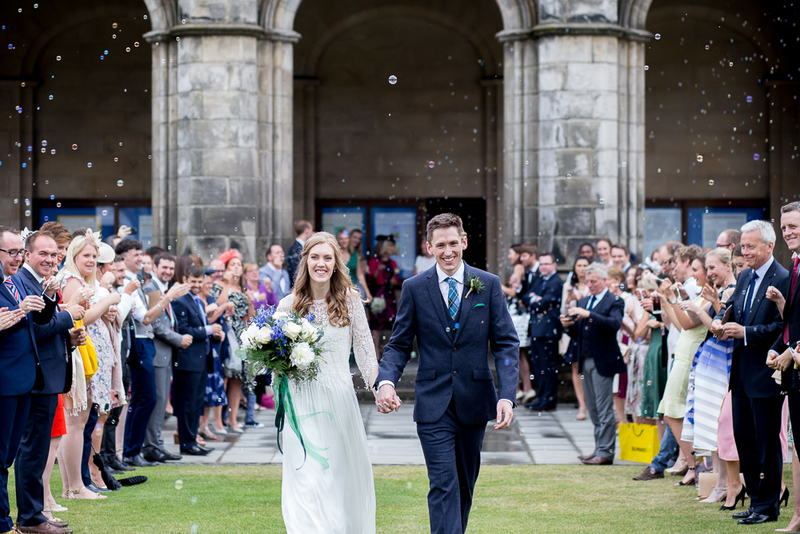 Other special touches that break with convention, which we just have to mention, include bubbles for confetti and the bride saying a few words alongside her new hubby. 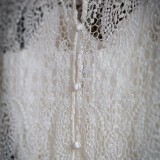 Read on for all the wonderful details! 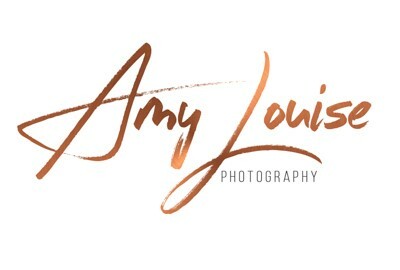 With images by Anna Joy Photography. 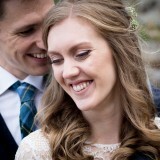 laura says: We got engaged on Saturday 15th October 2016, in the Lake District. 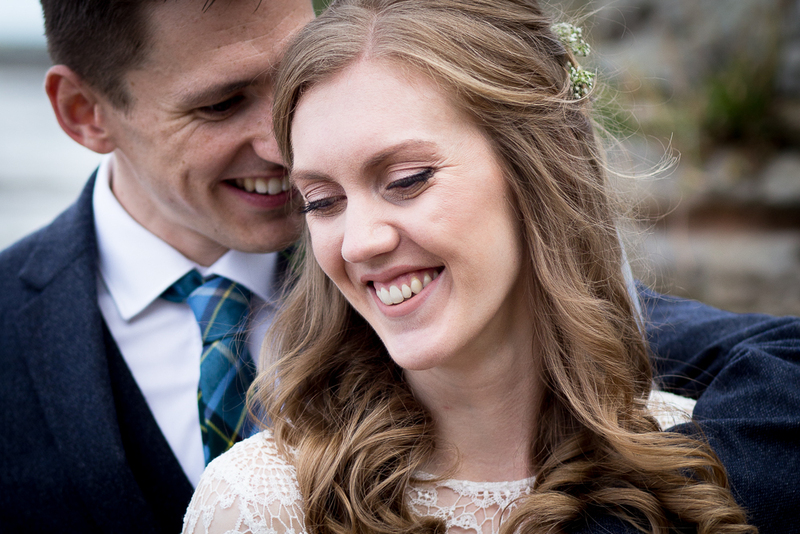 It was our seven-year anniversary and Tom had treated us to a stay in a country house hotel with beautiful views of Lake Windermere. 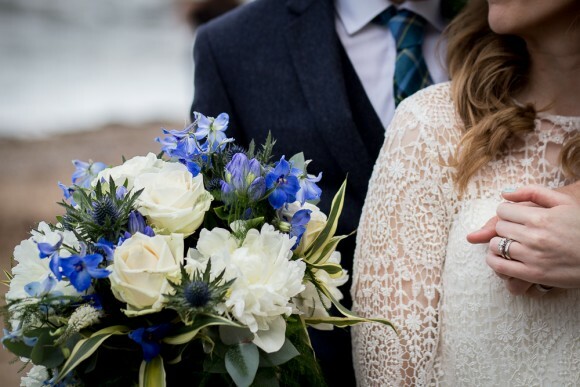 After a rainy day spent exploring and finishing up with a local brewery tour, we got back to the hotel to relax before dinner, which is when Tom popped the question! 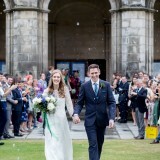 We got married on Saturday 28th July 2018. We didn’t want to rush into wedding planning, so it was nice to give ourselves plenty of time after the engagement and preferred the idea of a summer wedding. 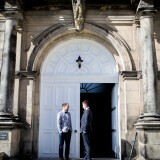 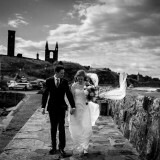 We got married in St Andrews, the town where we met whilst studying at the University of St Andrews. 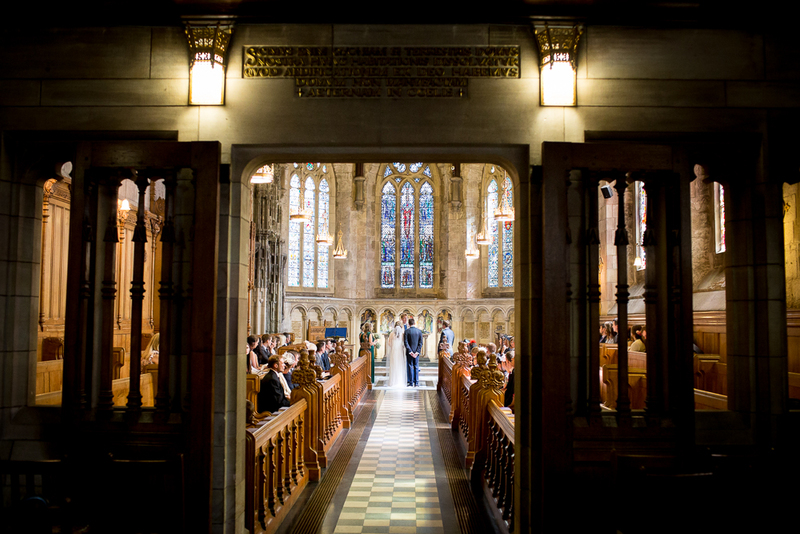 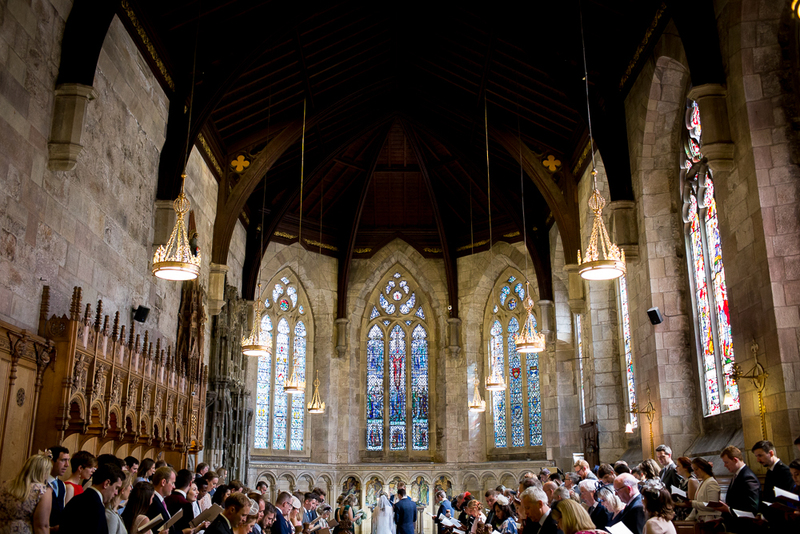 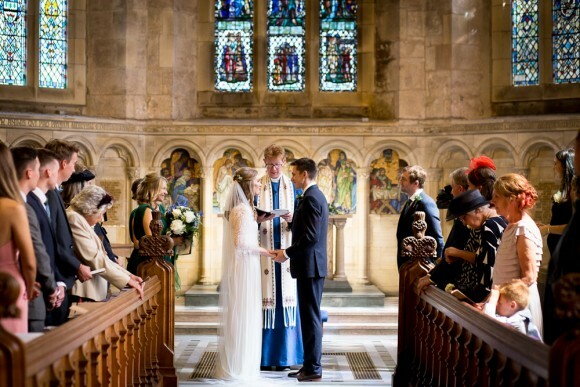 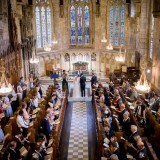 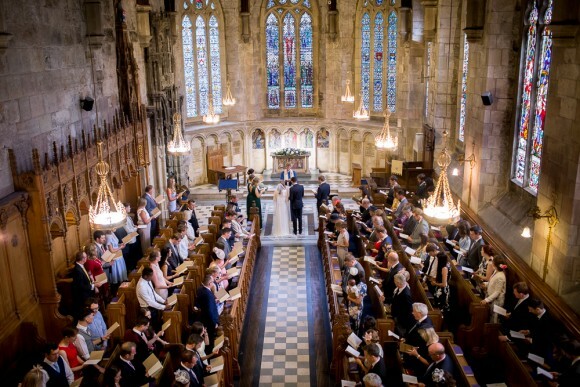 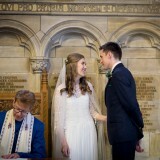 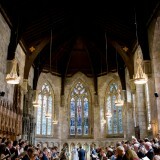 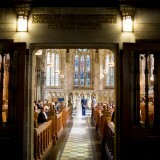 Our ceremony was in the beautiful St Salvator’s Chapel and the reception was held in the University’s Lower and Upper College Hall across from the chapel. 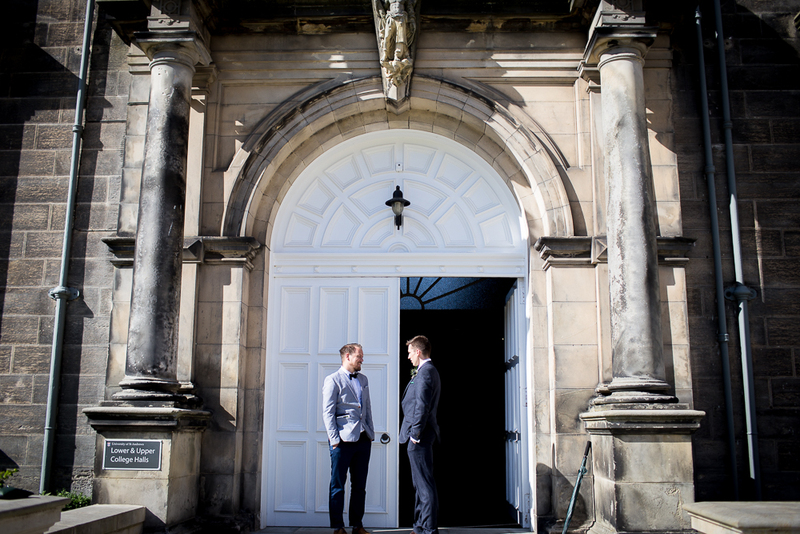 St Andrews is a special place for both of us, so it was the obvious choice, despite requiring some travel – we live in London, I’m from the Isle of Man and Tom is from Manchester! 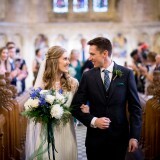 Our wedding had a simple and natural style, staying true to ourselves – we wanted to avoid anything too over the top! 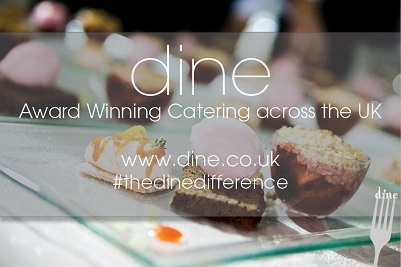 We used local suppliers and used ours and our families’ skills to make things ourselves wherever possible! 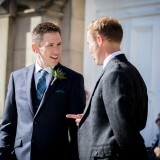 We didn’t have a specific theme, however we featured the Laxey Manx tartan throughout the wedding to reflect my Isle of Man heritage. 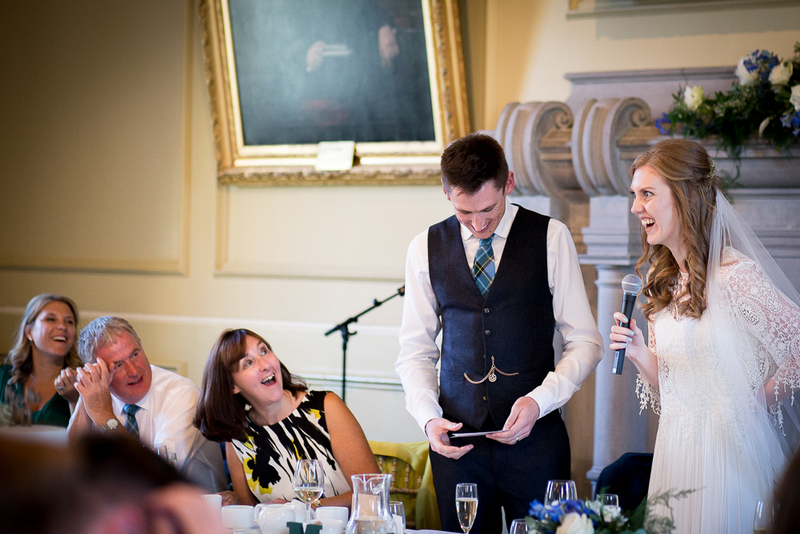 We used tartan ribbon on our save the dates and wedding invitations, the men had tartan ties, the reception tables had tartan centre pieces (made by Tom’s mum) and we had tartan bunting decorating the reception venue (made by my mum). 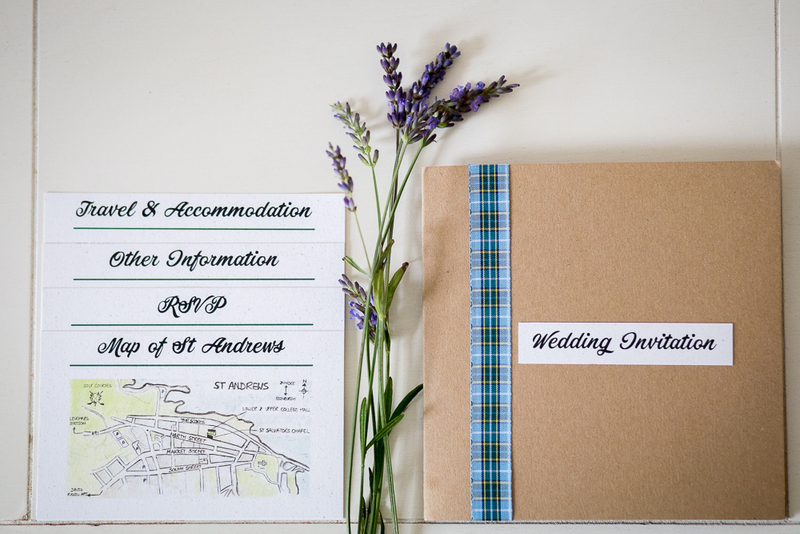 The Manx tartan colours are light blue for the sea, green for the hills and valleys, purple for the heather, gold for the gorse, and white for the cottages, so we used these to guide our colour scheme. 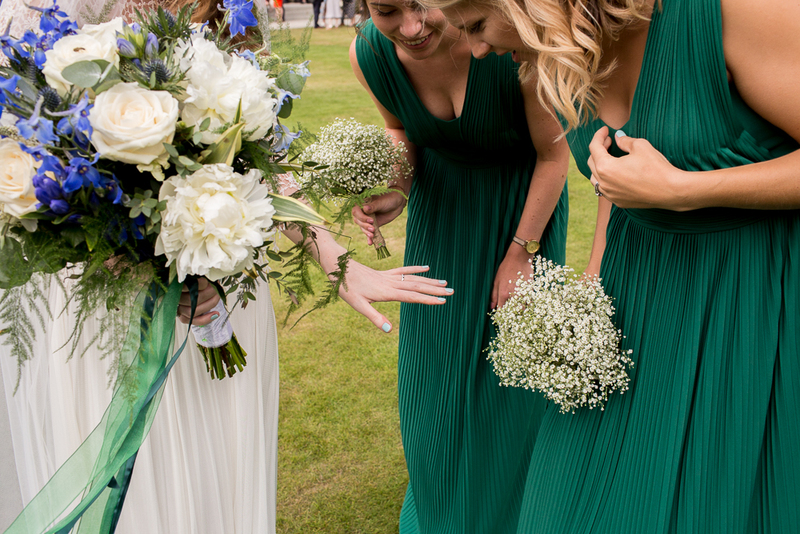 We picked out the blue, white and green for the flowers and chose green for the bridesmaid dresses and the men’s pocket squares. 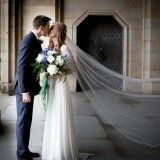 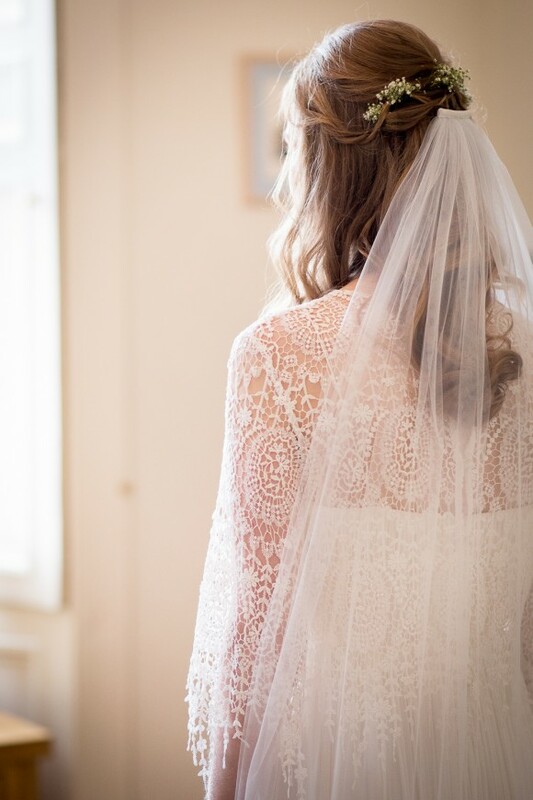 I chose a simple wedding dress with a sweetheart neckline and a flowing skirt with layers of tulle as the base but added a crocheted style lace top for the day with three quarter length sleeves, finished with a simple tulle cathedral length veil. 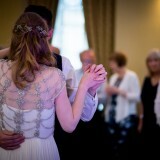 For the evening I removed my veil and changed into a jewelled top to add some sparkle! 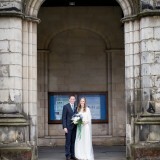 The full outfit was by Catherine Deane, which I purchased from the London boutique in Wapping Wharf. 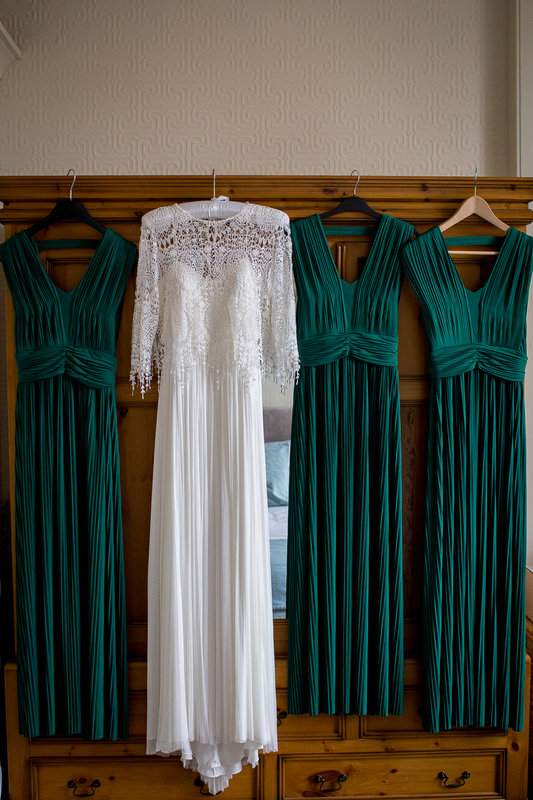 My mum spotted a Catherine Deane dress in a wedding magazine which we both liked so that was how I first came across her collection. 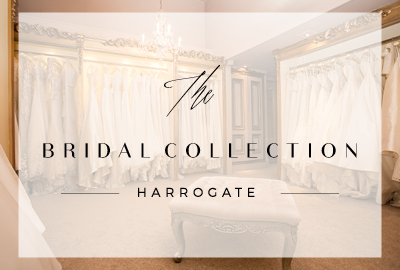 Sandra at the boutique was wonderful and helped me choose from their beautiful range. I liked dresses at several other places in London that were a very different style, but I felt most comfortable and true to myself in Catherine Deane. 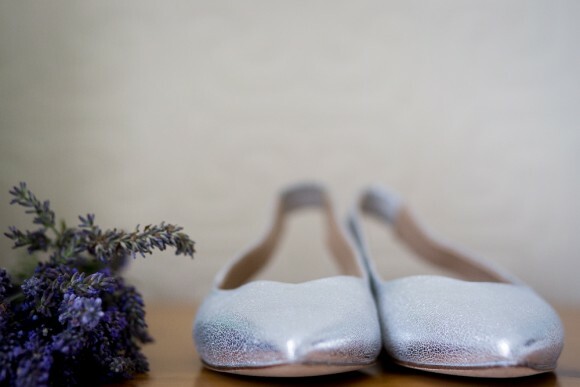 To accessorise, I wore simple silver sling-back flat shoes from Jones the Bootmaker – I very rarely wear heels and didn’t think our wedding day was the time to start! 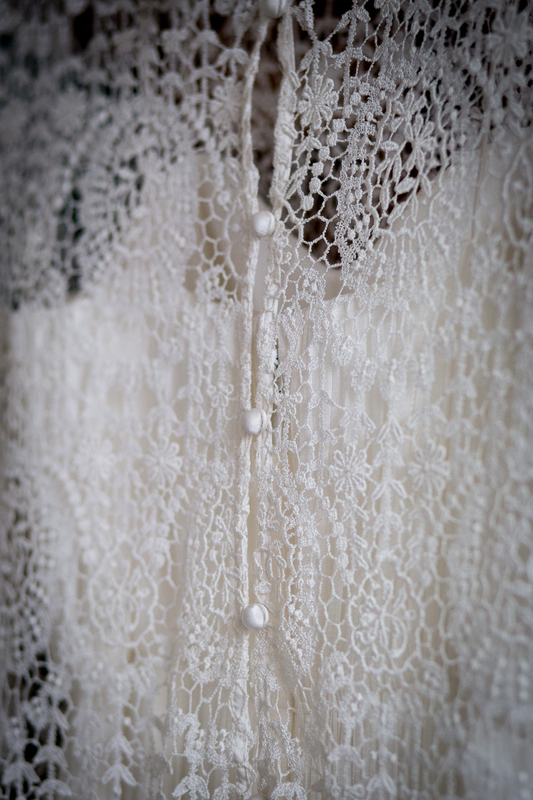 My something old (and blue) was a garter made from a scrap of blue material that was left over from the dresses my mum made for her bridesmaids when she got married, my something new was my outfit, and my something borrowed was the pearl drop earrings I borrowed from mum. 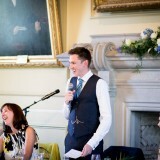 Tom wore a three-piece wool blend suit in a blue-grey colour, which we bought from Marks & Spencer. 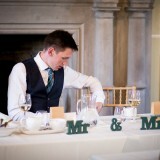 He paired this with a white shirt, Manx Tartan tie, emerald green pocket square, and dark brown shoes by Ask the Missus. 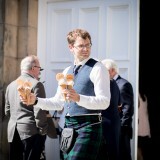 He also added a few special touches to his outfit. As a lifelong Burnley Football Club supporter, he wore cufflinks with the Burnley Football Club crest, as well as Burnley Football club socks which were worn by himself his groomsmen and his dad. 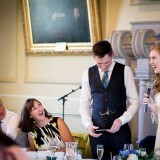 Tom also wore the pocket watch inherited from his late grandfather. 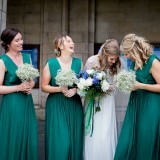 My bridesmaids wore emerald green pleated maxi dresses from Phase Eight, which complemented the style of my dress really well. 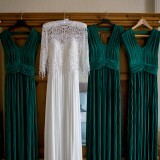 We had a shopping trip in London where they tried on lots of dresses and these were the unanimous favourite. 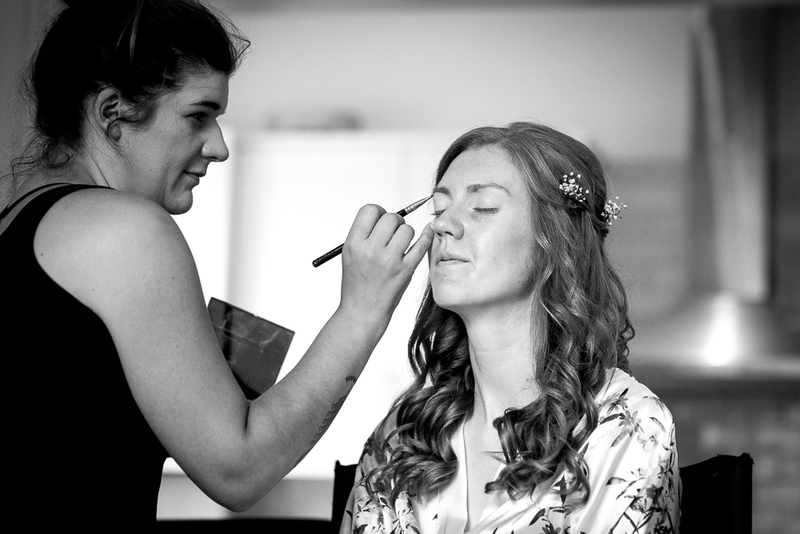 Sophie Alexis Make-up did the hair and makeup for myself, my three bridesmaids, my mum and my grandma. 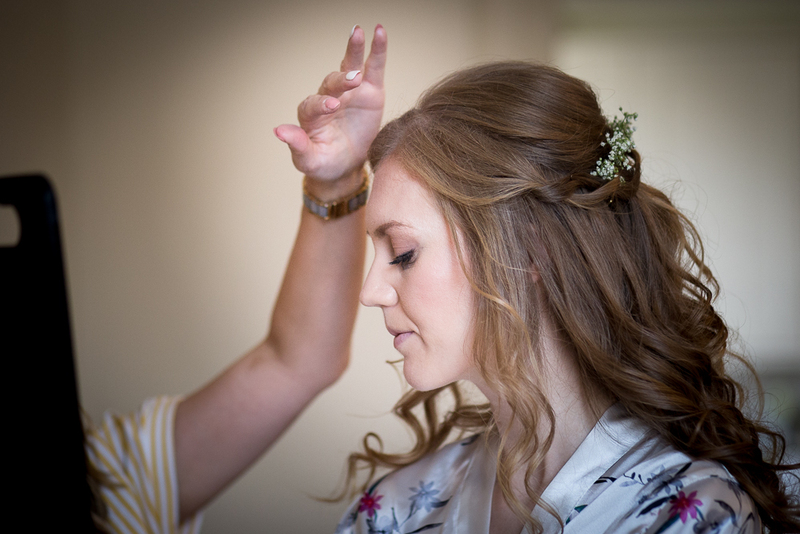 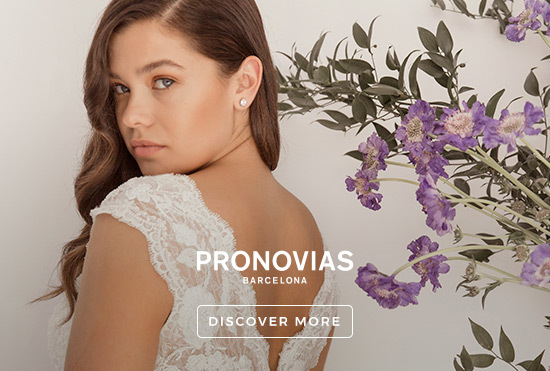 We had a lovely time getting ready with them on the morning with us all choosing a natural look and incorporating white gypsophila flowers into our hair. 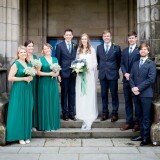 Before the wedding my bridal party had our nails done at Hepburns Nail Lounge in St Andrews. 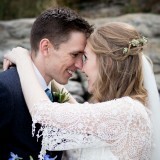 This was such a nice treat in the midst of last-minute planning the day before the wedding. 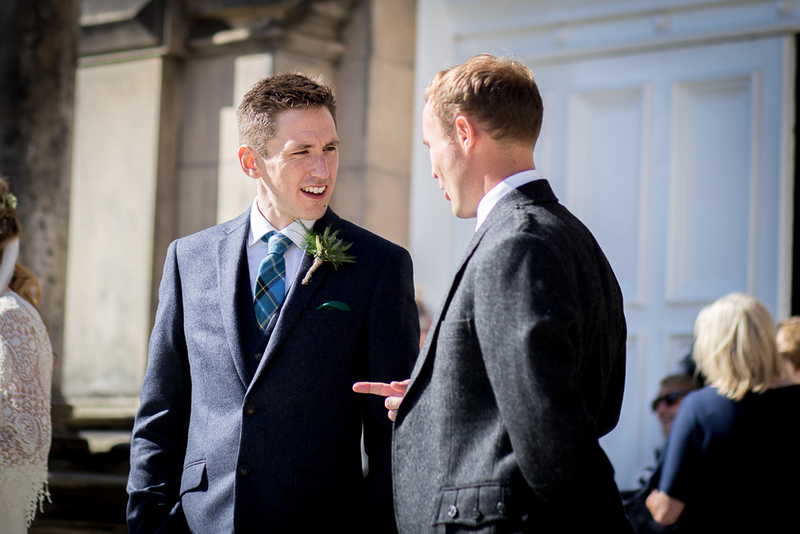 Tom’s groomsmen wore the same three-piece wool blend suits as Tom, with the Manx tartan ties and emerald green pocket squares. 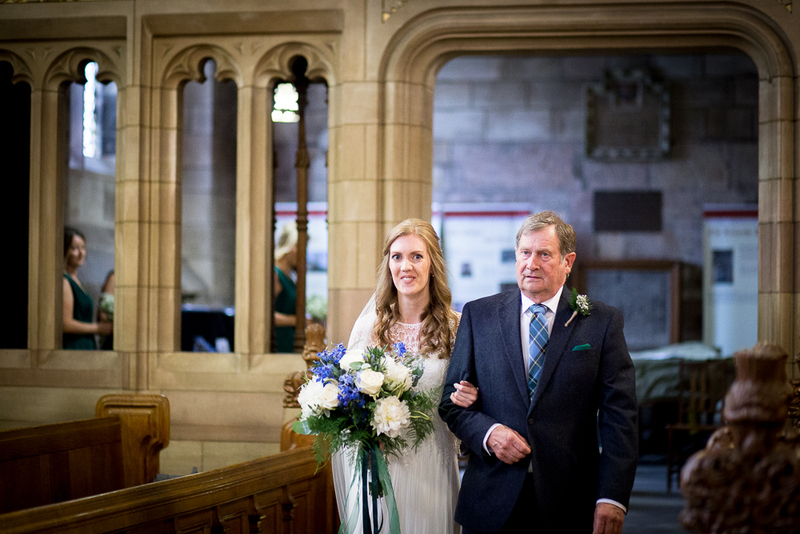 My dad, my three brothers, Tom’s dad, brother-in-law, nephew and family friend acting as the Master of Ceremonies also all wore Manx tartan ties and emerald green pocket squares. 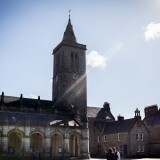 St Andrews is a small town, so everybody was staying within walking distance from the chapel. 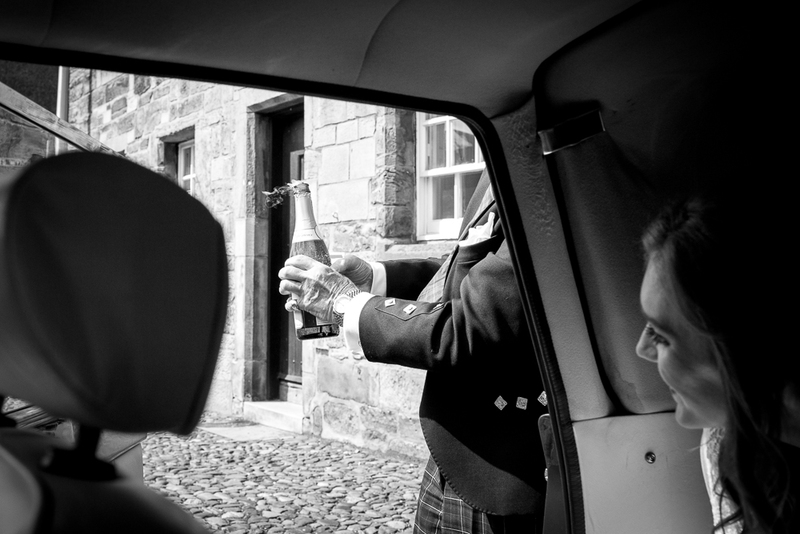 However, we hired a blue 1940’s Royal Windsor Landaulette from Chauffeurs of Carnoustie, to take my bridal party then me and my dad to the chapel. 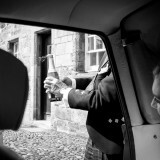 We also enjoyed a tour in the car around town for our couple photographs after the ceremony – our chauffeur was wonderful and even provided a bottle of fizz for us to enjoy during the drive. 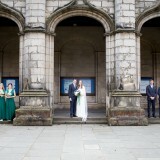 Our photographer was Anna from Anna Joy Photography. 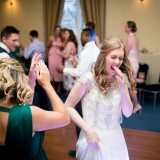 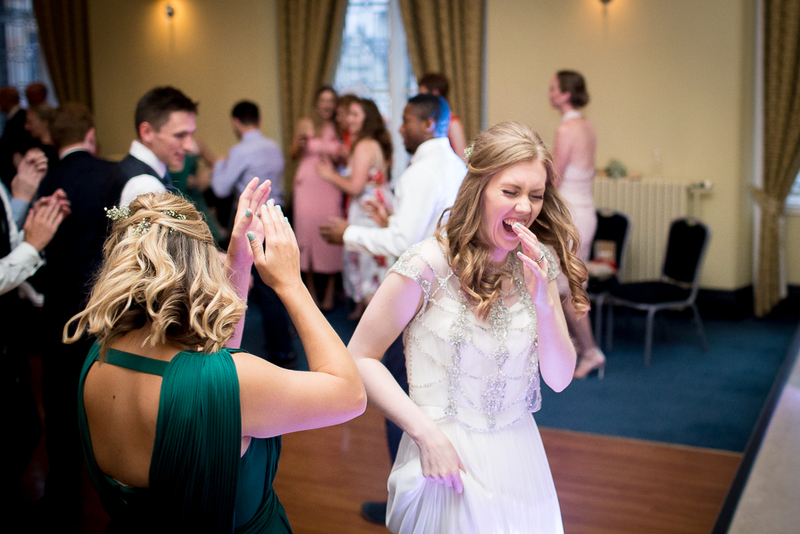 Anna was amazing – we would absolutely recommend her! 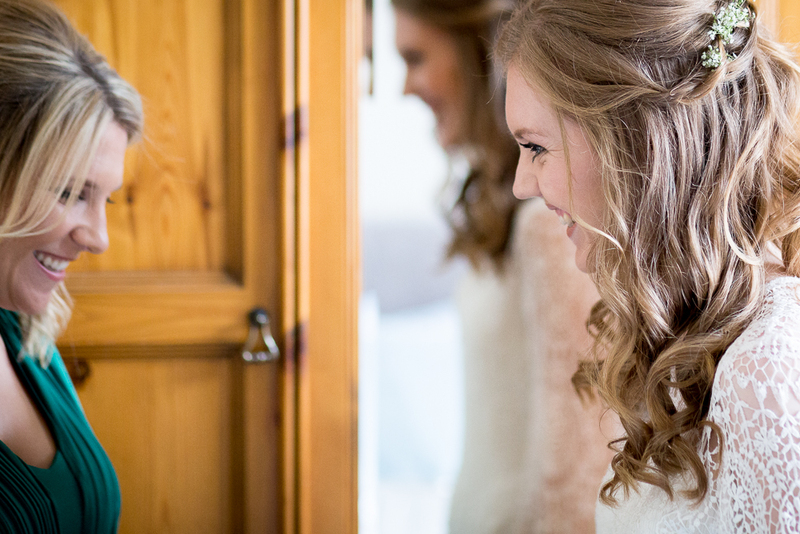 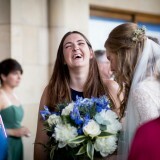 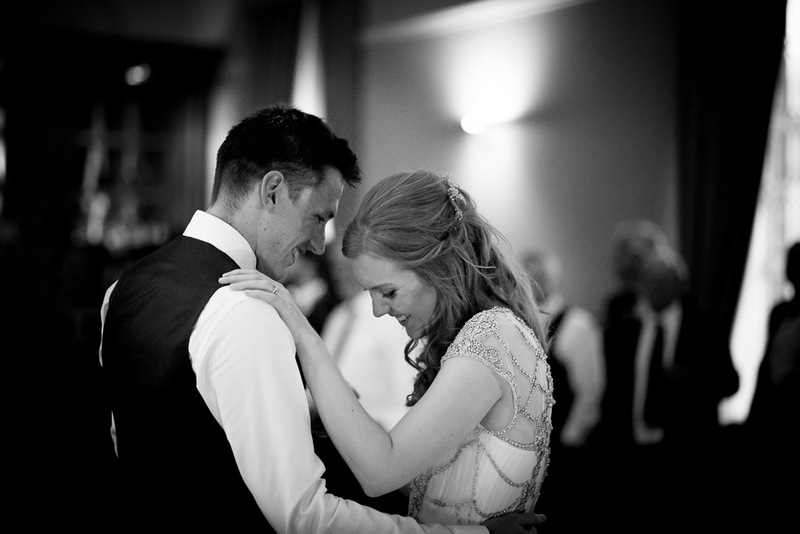 Neither of us likes posing for photos so we loved Anna’s natural and documentary style of photography, capturing the moments and emotions of the day without intruding on it – most of the time we didn’t even notice she was there. 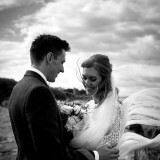 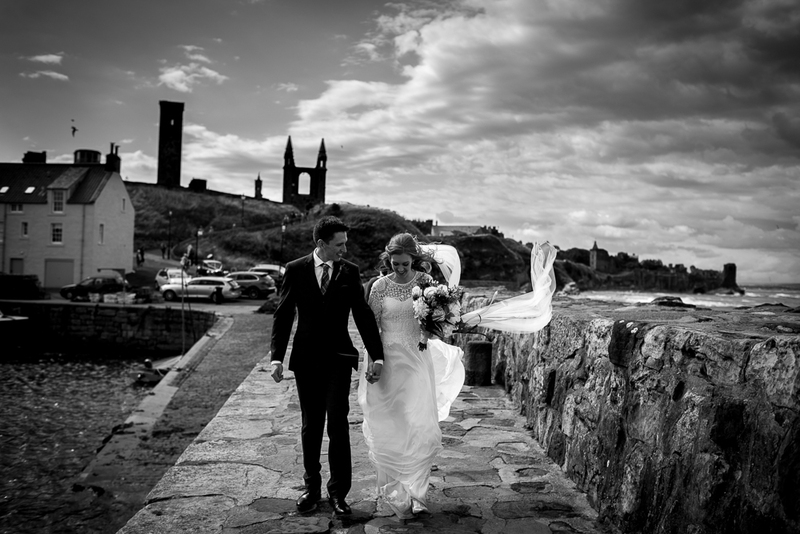 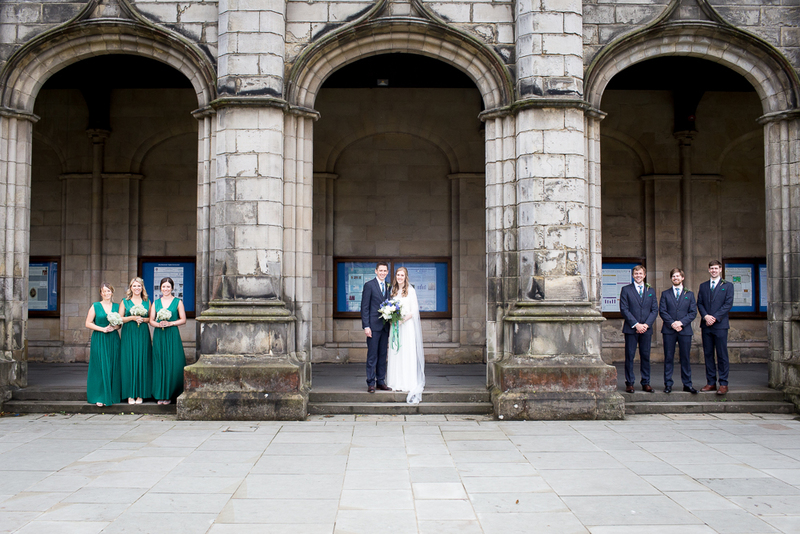 We loved how Anna captured the St Andrews scenery in our couple photos including the cathedral, the beach and the pier. 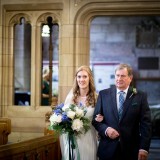 I loved my beautiful flowers provided by County Fayre Florists, based in Cupar. 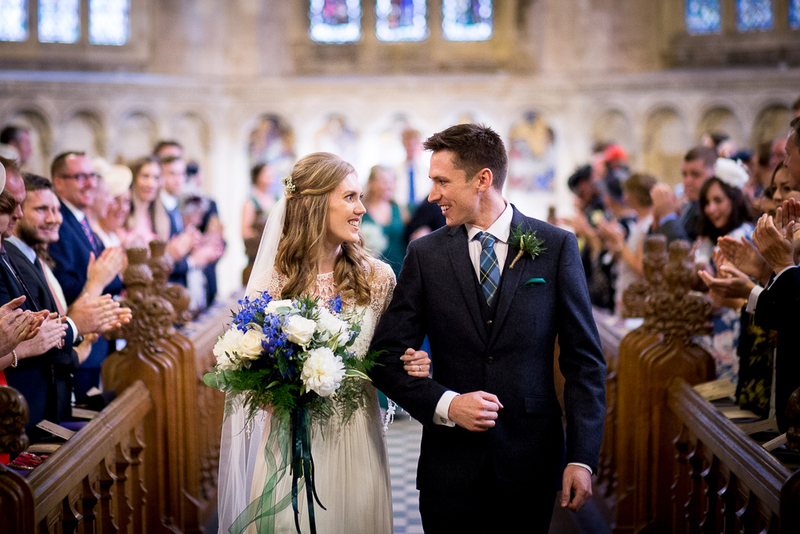 I had a large loose bouquet consisting of blues, whites, creams and greens to tie in with the Manx tartan, with emerald green ribbons. 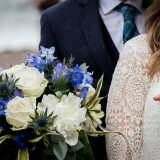 There were cream avalanche roses, white peonies, blue thistles, white veronicas, blue delphiniums, fern, eucalyptus and variegated lily grass. 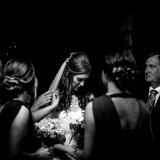 The bouquet was heavy but well worth the weight. 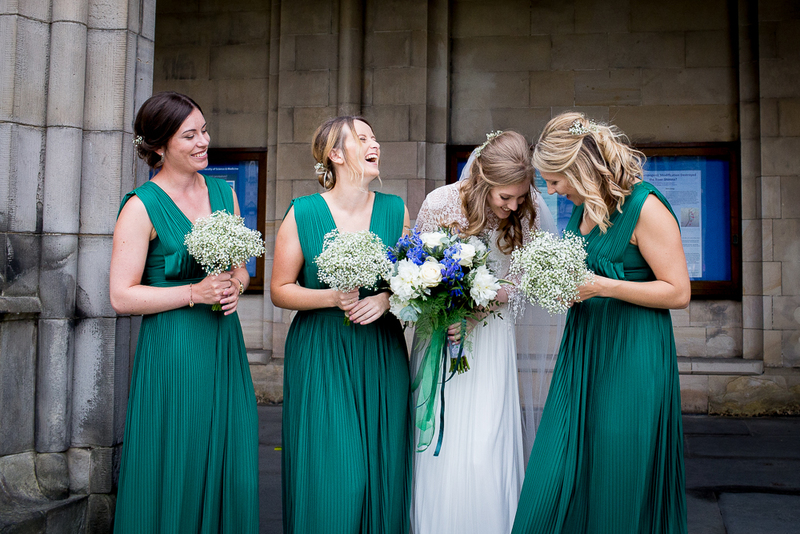 My bridesmaids had simple white gypsophila bouquets, and we all had gyp woven into our hairstyles. 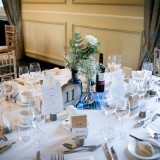 Our flowers throughout the venue were also provided by County Fayre Florist. 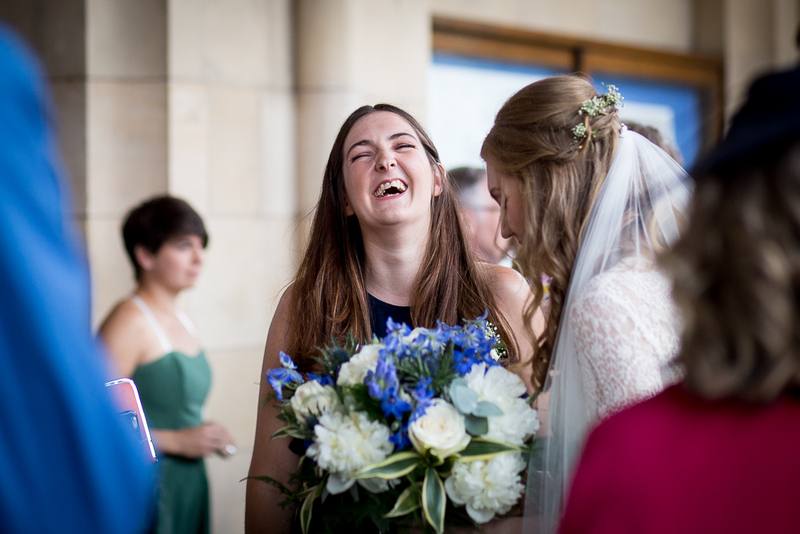 We had an altar arrangement for the chapel using the same flowers as my bouquet, which was then transferred to the reception venue. 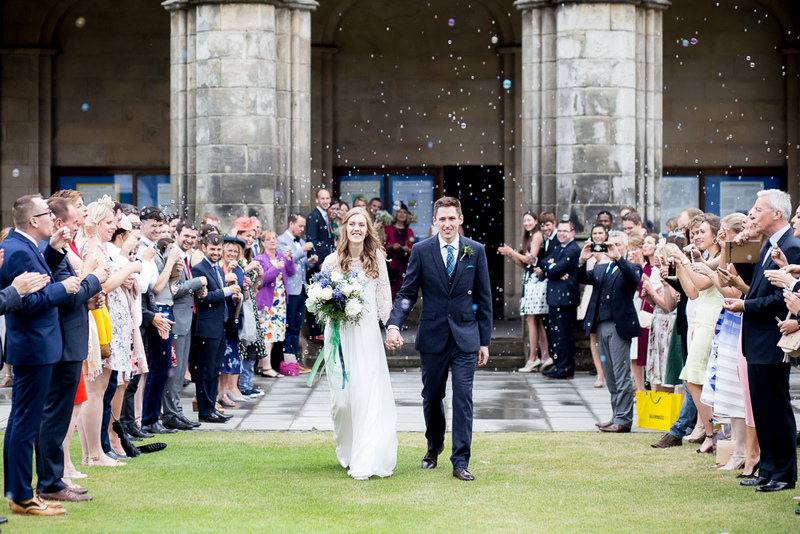 We weren’t allowed to have confetti at our venue so instead we provided our guests with bubbles to blow at us when we left the chapel. 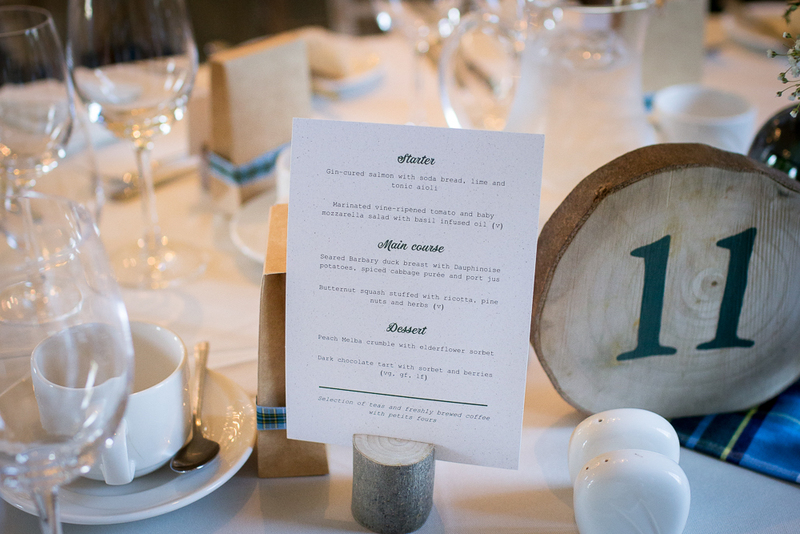 We chose to number our tables and used log slices which my dad prepared, and I painted the numbers onto. 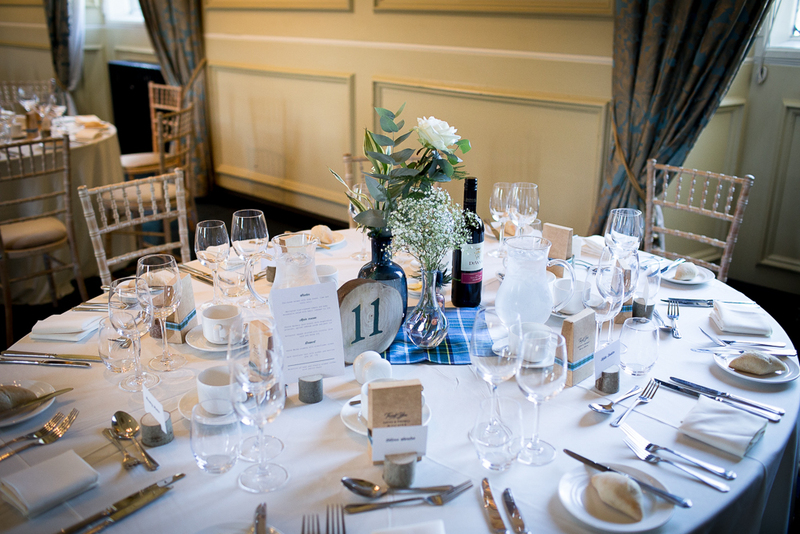 The numbers sat alongside our centre pieces which were a collection of three vases we bought from Ikea (one with a rose and greenery, one with gypsophila and one with a blue thistle), on Manx tartan fabric squares made by Tom’s mum. 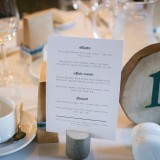 My dad also made small log slices to hold the name cards for each place setting and the menus. 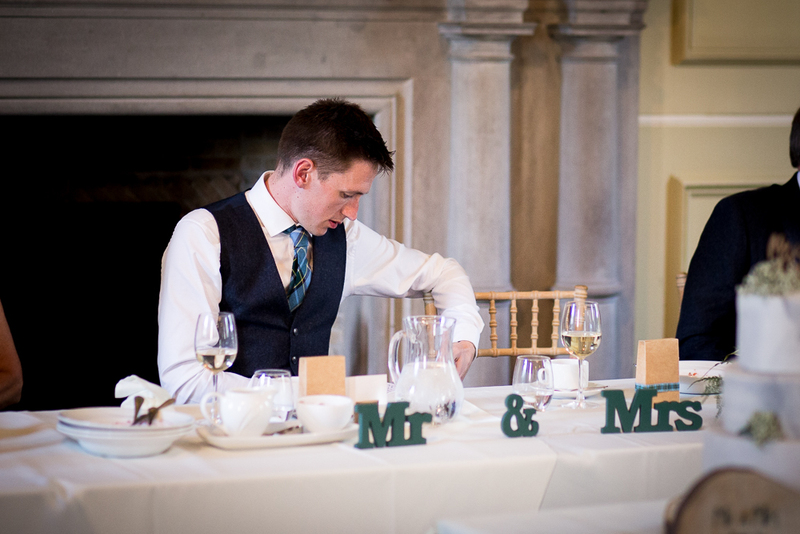 We had Manx tartan bunting decorating various parts of the reception venue which was made by my mum. 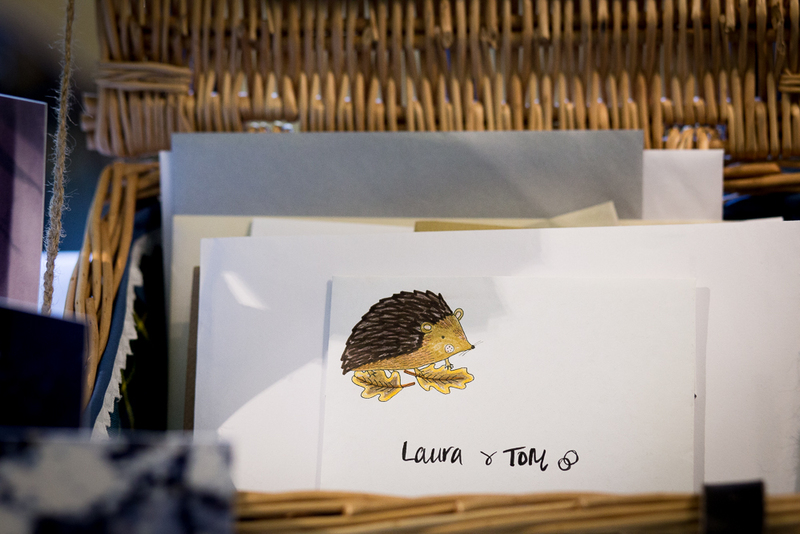 She also gave us a basket for our cards which she lined with Manx tartan fabric and added a personalised cross stitch decoration to the lid. 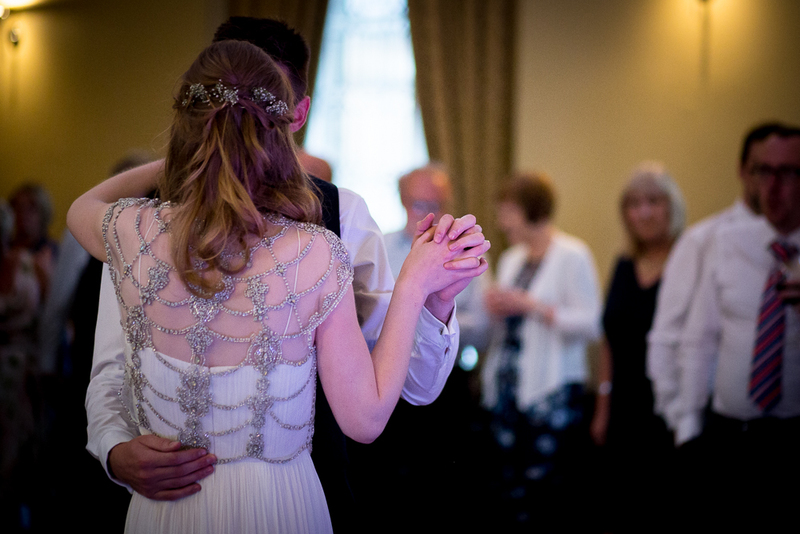 We displayed this on a table with photographs from our parents’ and grandparents’ weddings, and a framed copy of the wedding toast in Manx Gaelic ‘Slaynt as shee as eash dy vea as maynrys son dy bra’ which means ‘health and peace and length of life and happiness forever’. 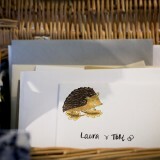 Also on this table was our version of a guest book – a wishing jar by Ginger Ray from John Lewis. 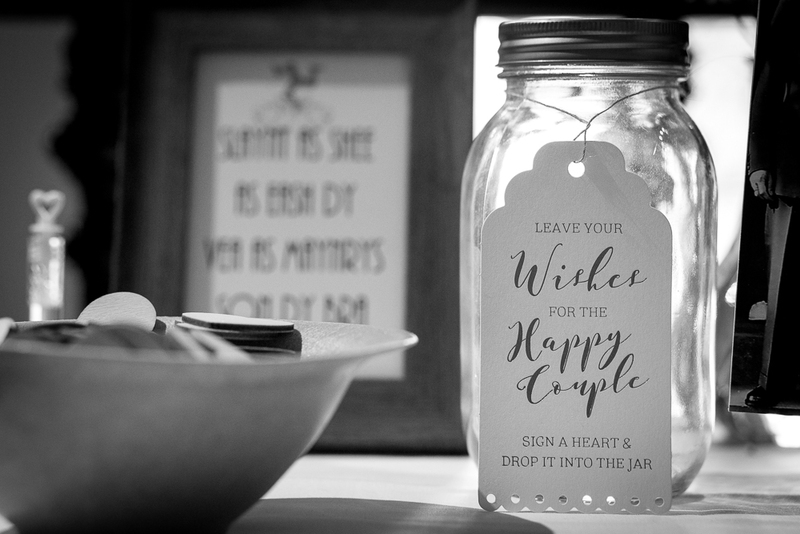 Guests wrote their messages on a wooden heart and posted them into the jar. 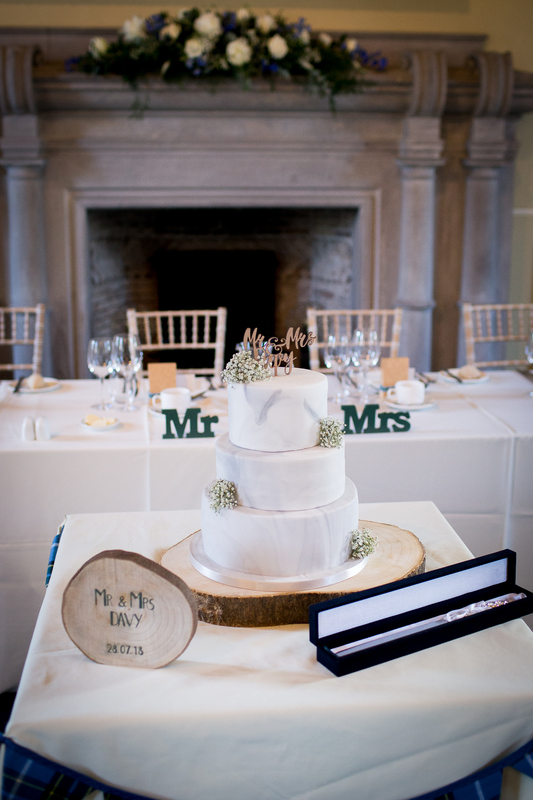 For our favours, we gave our guests Grasmere Gingerbread in small boxes which we decorated with Manx tartan ribbon and a personalised thank you stamp. 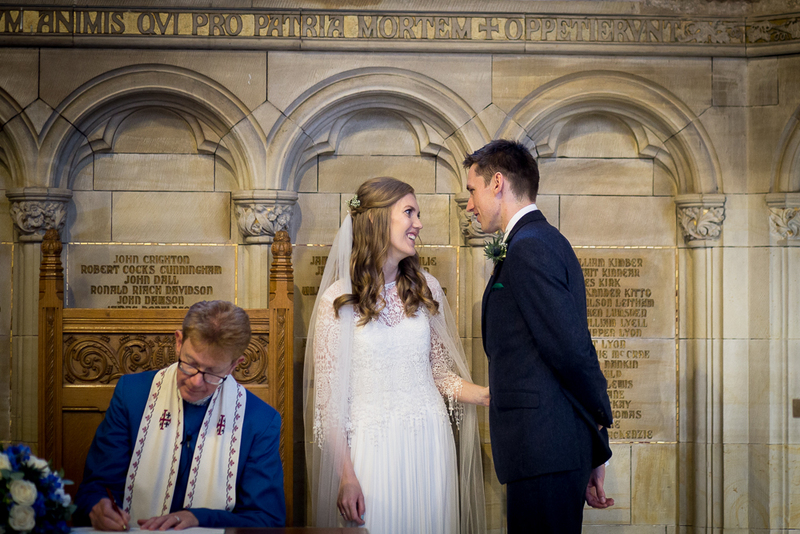 This gingerbread is made from a traditional recipe in Grasmere village in the Lake District, which is a place Tom often visited with his family and where he has taken me several times, including the weekend we got engaged. 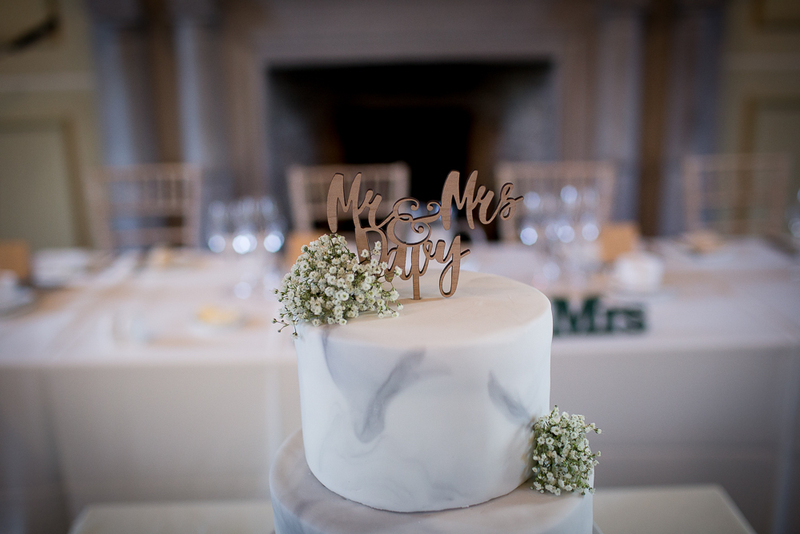 We had a simple three-tiered wedding cake decorated with icing with a marble effect. 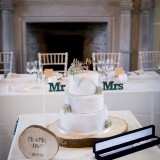 We had a different flavour for each tier; rich fruit cake for the base, lemon for the middle and toffee for the top. 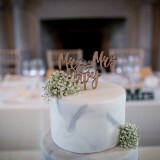 We added a personalised wooden cake topper bought from eBay and some gyp provided by our florist. The cake was made by Fisher and Donaldson, a local bakery in St Andrews – we used to love treating ourselves to their fudge doughnuts every now and again when we were living in St Andrews! 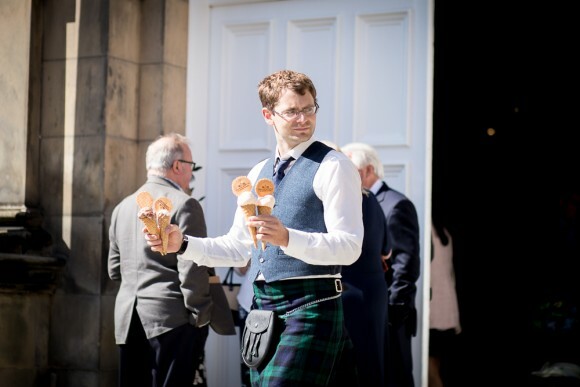 After the ceremony, we had a drinks reception but instead of serving canapés, we chose to have ice cream from the local ice cream shop Jannettas. 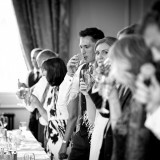 They were great, and this went down really well with our guests, especially Tom’s five-year old nephew who had three helpings! 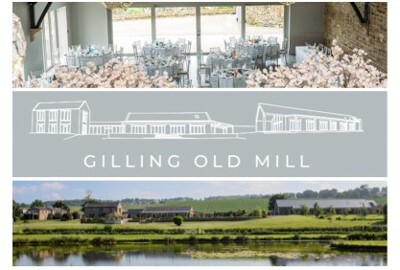 We had a tasting with the venue ahead of the wedding and everything was delicious, so it was very hard to choose our wedding menu. 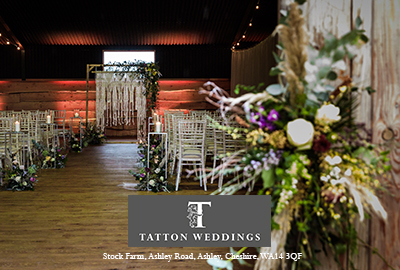 In the end we went with some of our personal favourites and something a little bit different to the traditional wedding breakfast choices. 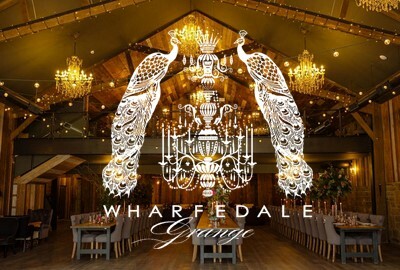 Our starter was gin-cured salmon with soda bread, our main was duck breast with dauphinoise potatoes, vegetables and port jus, and our dessert was peach-melba crumble with elderflower sorbet. 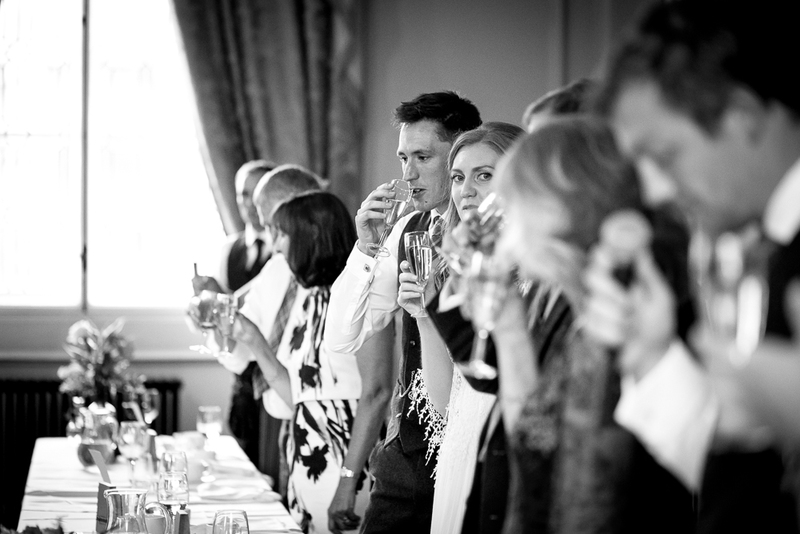 We paired the food with the house white and red, along with fizz for the toasts. 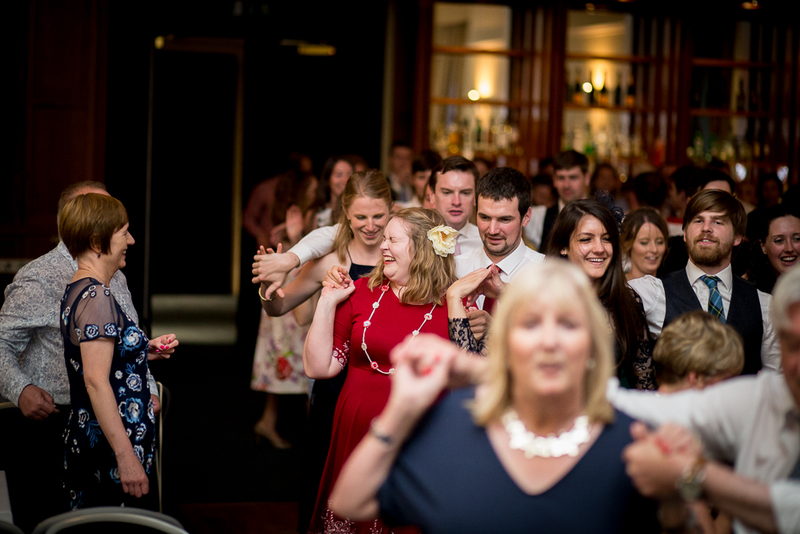 In the evening, during a break in the ceilidh, we had a buffet of bacon and sausage baps along with the wedding cake, allowing everyone to refuel and get ready for the next round of dancing. 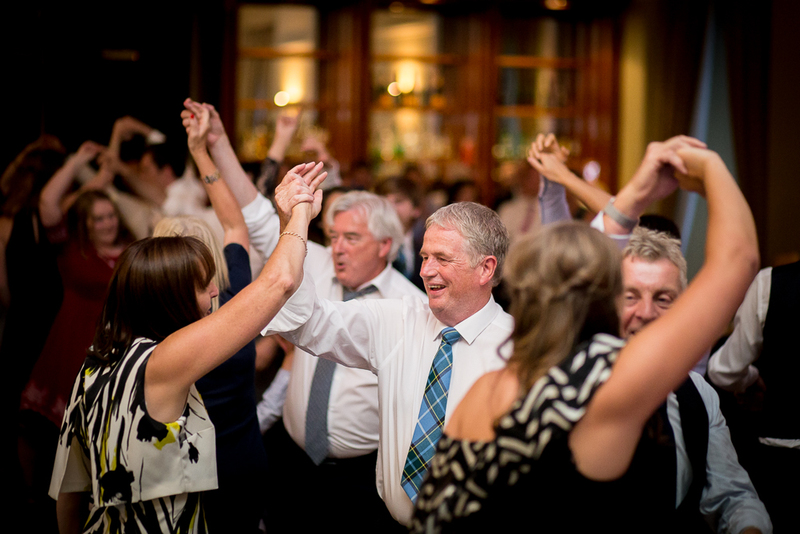 We chose to have a Scottish ceilidh for our evening entertainment, and had the Tartan Trio band playing for us – they were amazing, and everybody loved joining in. 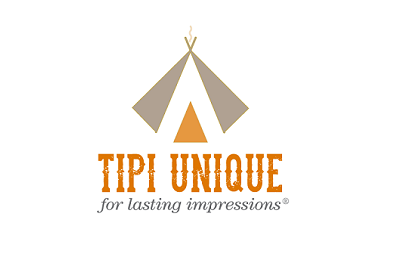 We would highly recommend them. 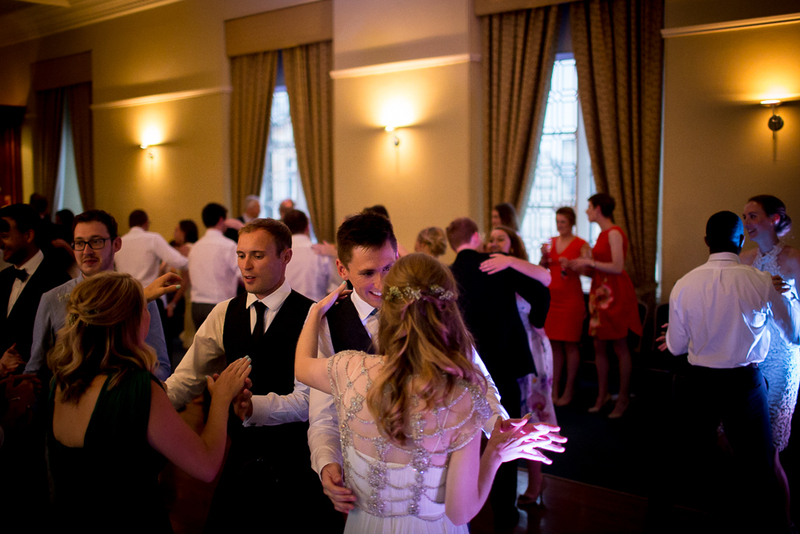 After the ceilidh was finished they played a DJ set with a mix of tunes and some of the classics to keep people on the dance floor. 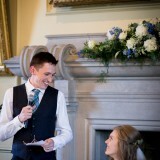 I was keen to say a few words at our wedding rather than leave it all to the guys, so Tom and I decided to do a joint speech. 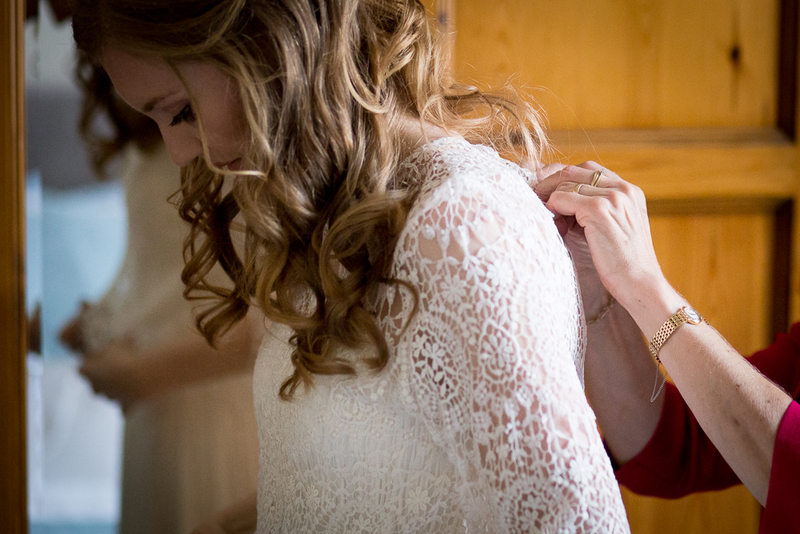 It felt right that we should start as we mean to go on – as a team who are in it together. 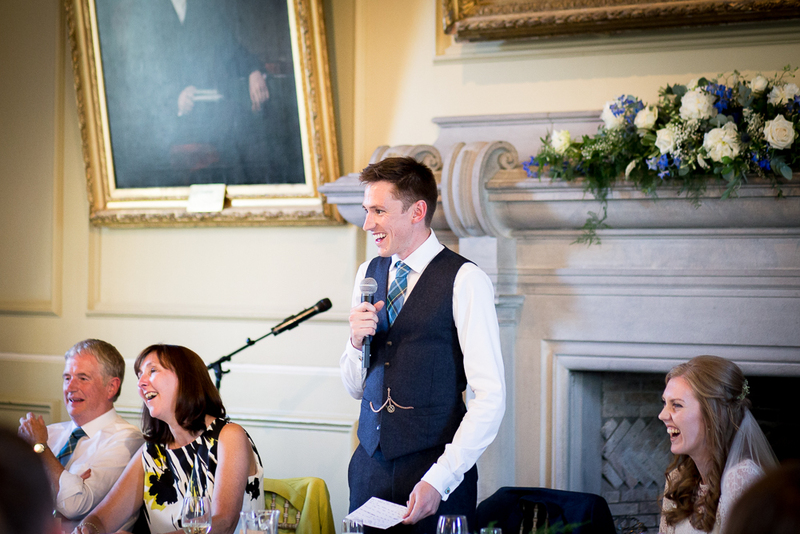 It was also important to me to address everyone personally considering how far friends and family had travelled to celebrate with us. 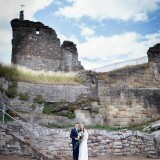 We decided to keep this as a surprise though, so no one else knew what we had planned. 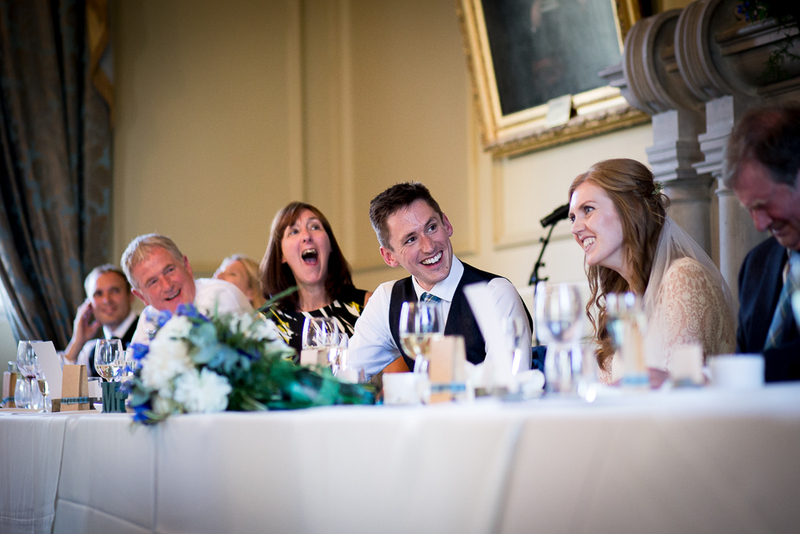 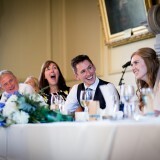 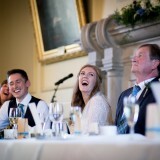 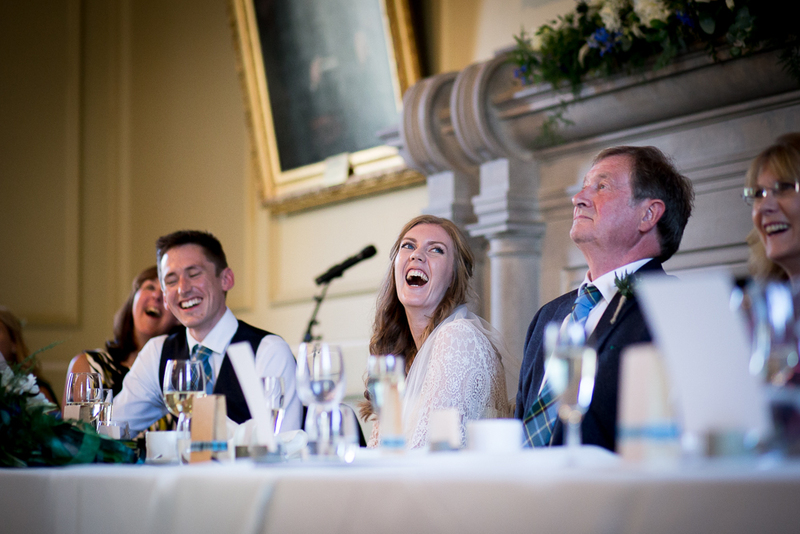 Tom started his speech and part way through invited me to join him – I loved the excitement of our guests when I first stood up and cracked a joke (at Tom’s expense) and it was great fun being a husband and wife double act! 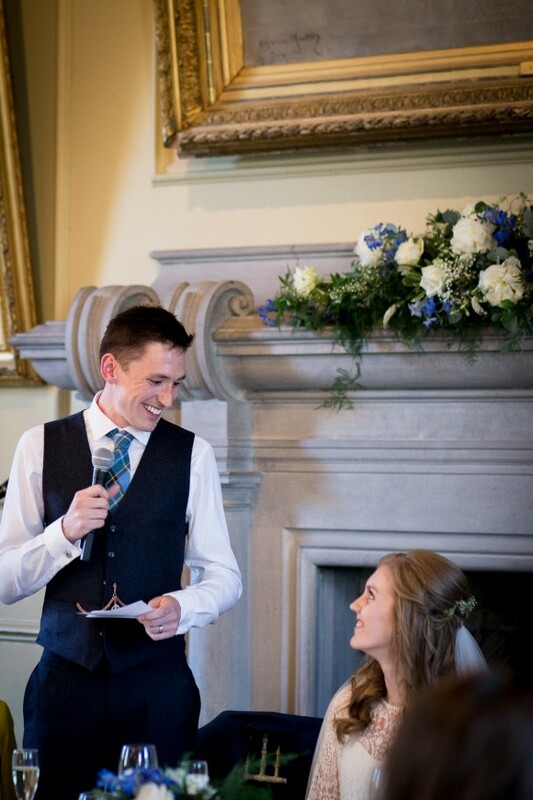 Tom also surprised me some very heartfelt words at the end of the speech, which I had no idea about; it was very touching. 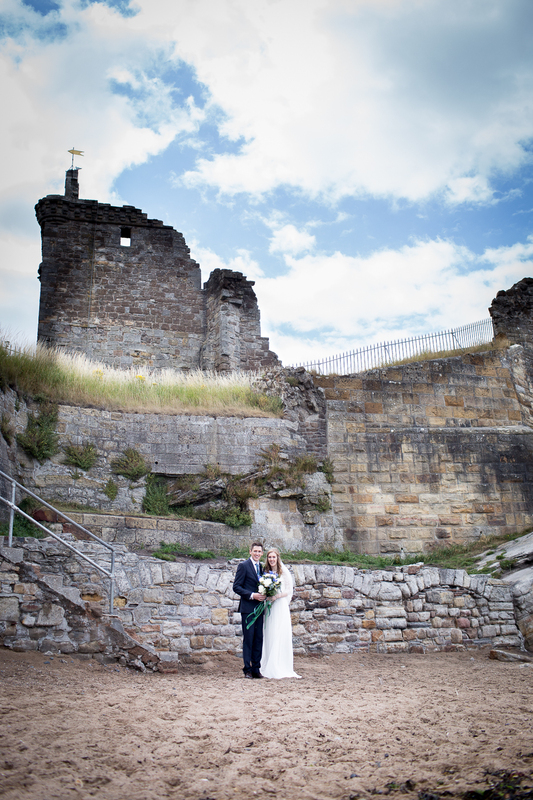 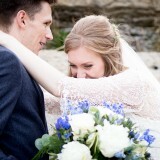 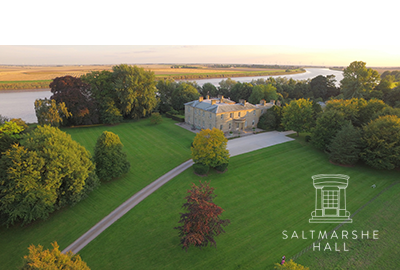 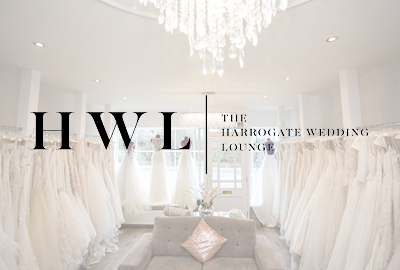 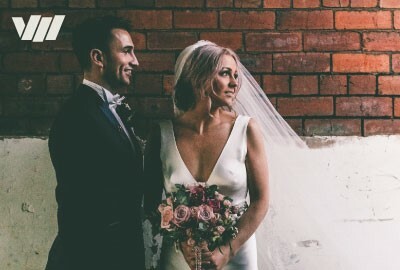 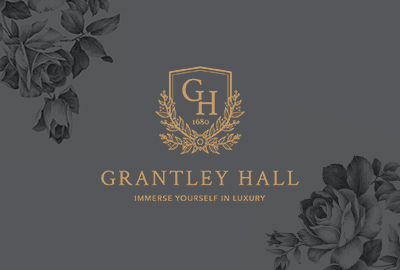 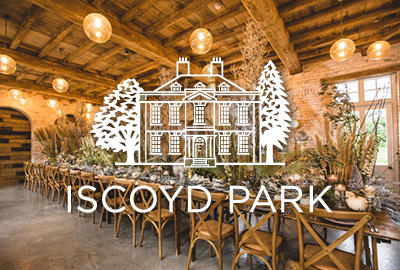 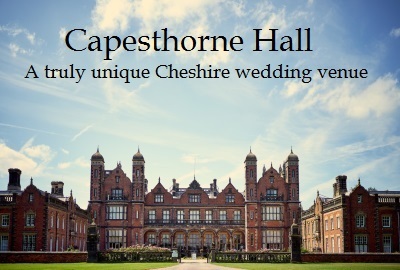 Following our wedding, we would definitely recommend our choice of venue to other couples, particularly where they have a connection to this beautiful seaside town. 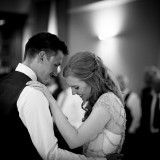 Looking back, it’s so hard to choose one favourite part of the day as I loved every second of it. 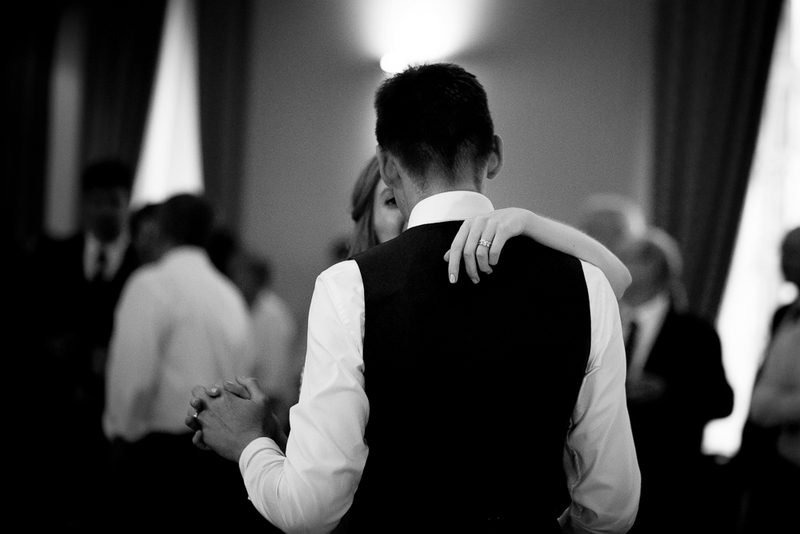 There are so many moments to cherish and it’s lovely thinking back on them and talking with Tom about the different parts that stick in our minds. 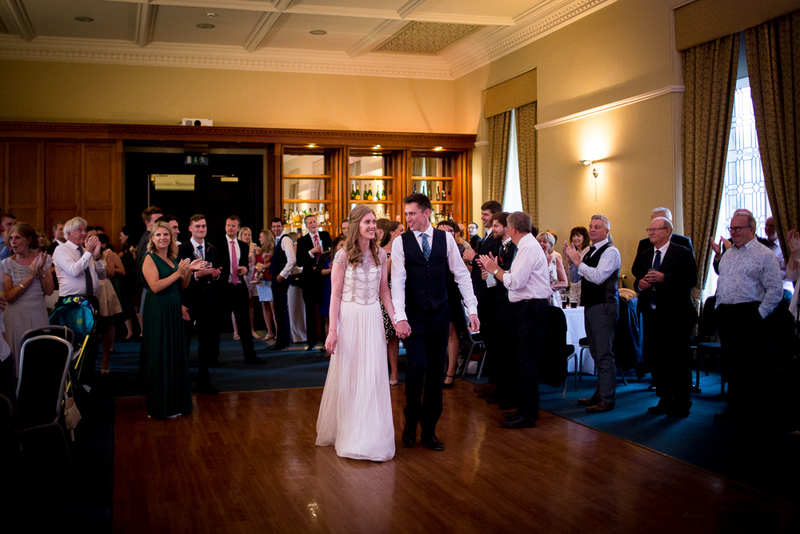 One of the best things was being lucky enough to have all our friends and family there to celebrate with us. 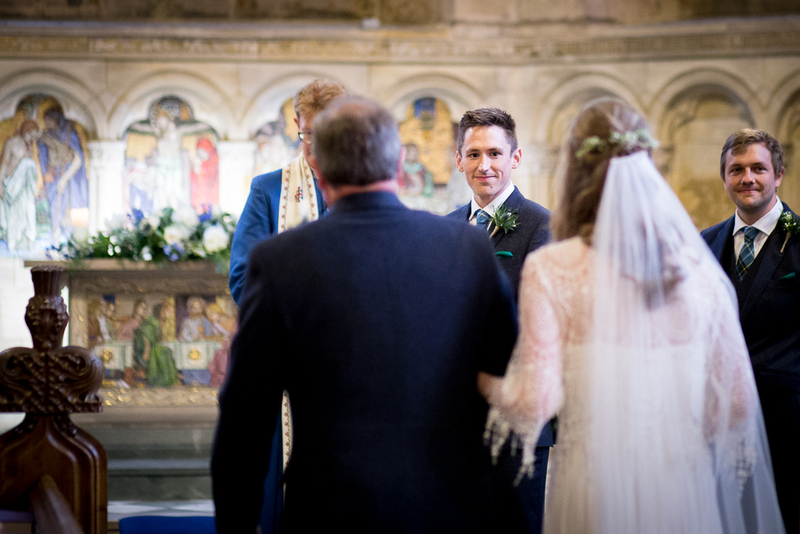 I do particularly remember the nervous and excited anticipation at the back of the chapel waiting to walk down the aisle with my dad, the moment we said our vows and exchange rings, and the walk back up the aisle with Tom as the new Mr & Mrs Davy whilst everyone cheered! 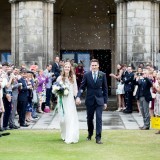 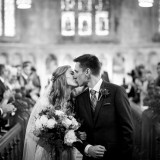 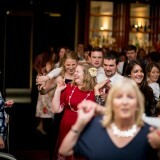 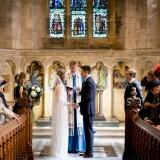 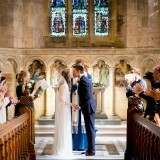 It was also great fun walking together through the line of guests blowing bubbles at us as we left the chapel. 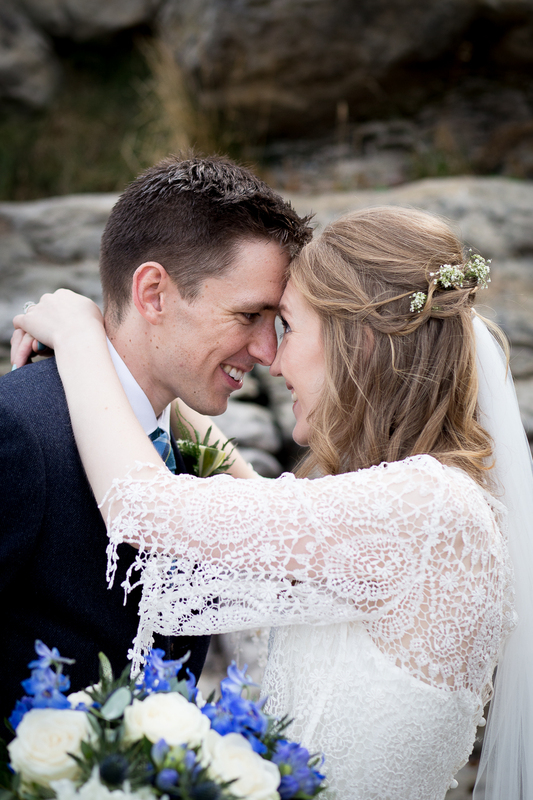 It was nice to escape for some photographs together too and take a moment to let it all sink in, and we had such great fun adventuring onto the beach and along the very blustery pier. 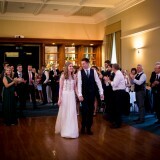 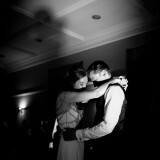 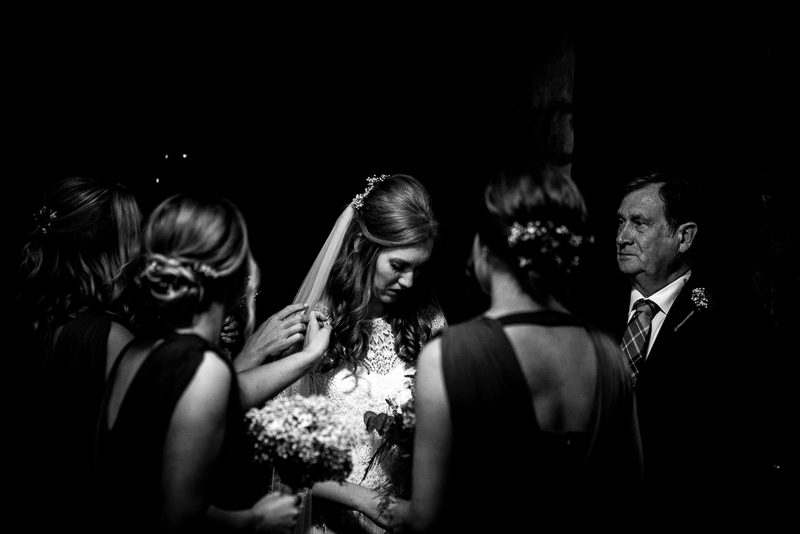 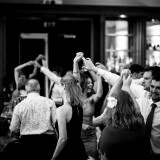 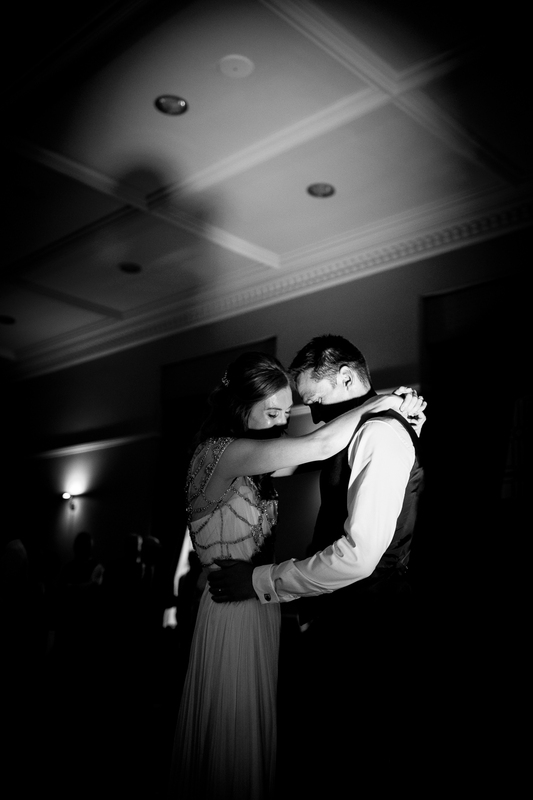 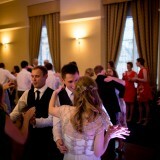 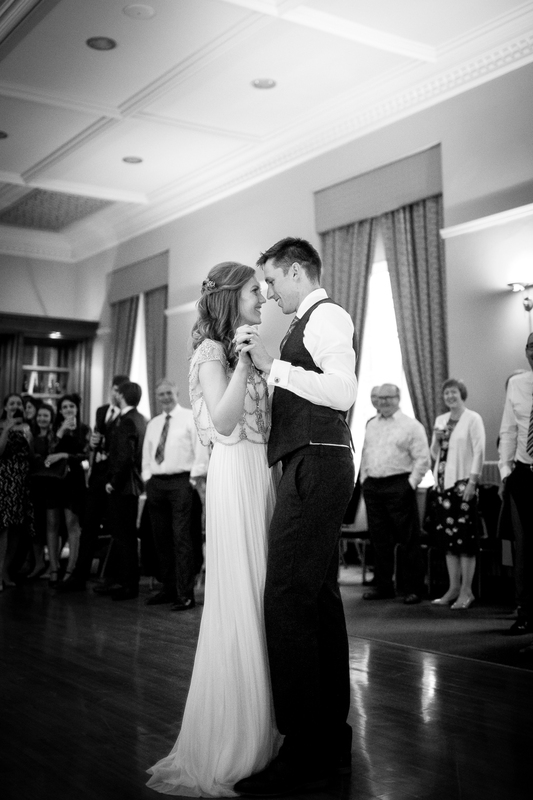 Another moment that sticks in my mind is being introduced into the room after dinner for our first dance and the start of the evening celebrations – I had changed from my day time lace top into a sparkly evening top and loved the grand reveal surprising my friends and family (only my mum and my bridesmaids knew). 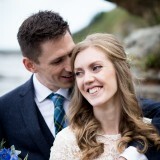 We stayed in Scotland the week after the wedding and had a minimoon on the Isle of Skye. 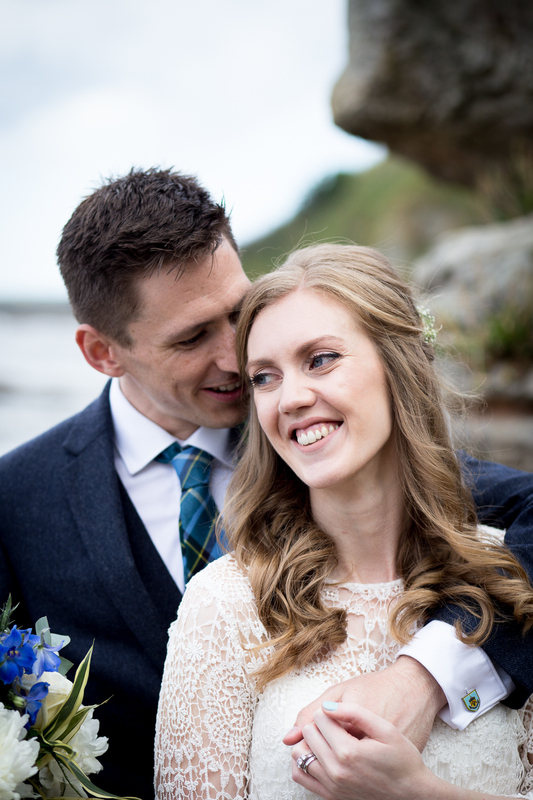 It’s such a beautiful and remote place, and we loved getting out to explore the wilderness in the daytime and coming back to our beautiful accommodation (The Black Shed) to get cosy in the evening or going out for dinner in the local restaurants. 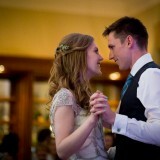 For the main honeymoon we are planning a four-week adventure to New Zealand over Christmas and New Year. 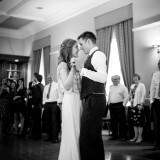 We will be travelling around the north and south island in a camper van and can’t wait for all the adventures in store. 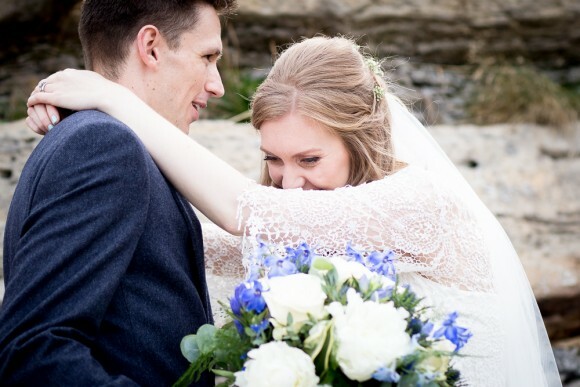 We both love the outdoors so this will be the perfect honeymoon for us, exploring the landscapes, doing some daredevil activities and escaping our hectic lives in London. 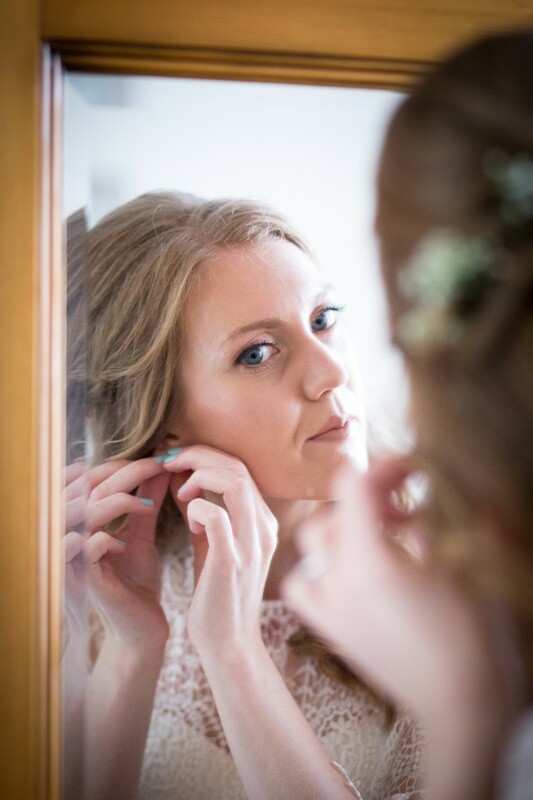 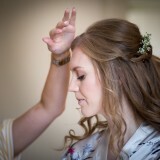 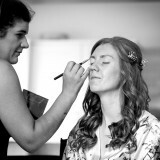 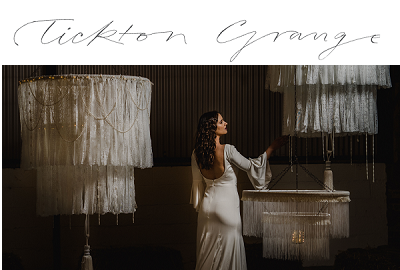 My top tip for other Brides Up North is to stay true to your style and personalities and make the day your own. 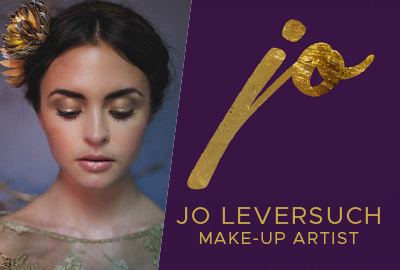 It’s great that there is so much inspiration at your fingertips, but this can make it easy to get carried away and lose sight of what feels right for you. 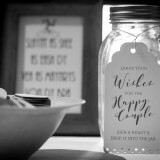 If you and your family and friends are particularly crafty then the DIY approach can be a great way to achieve the personal touches and can help to save money too! 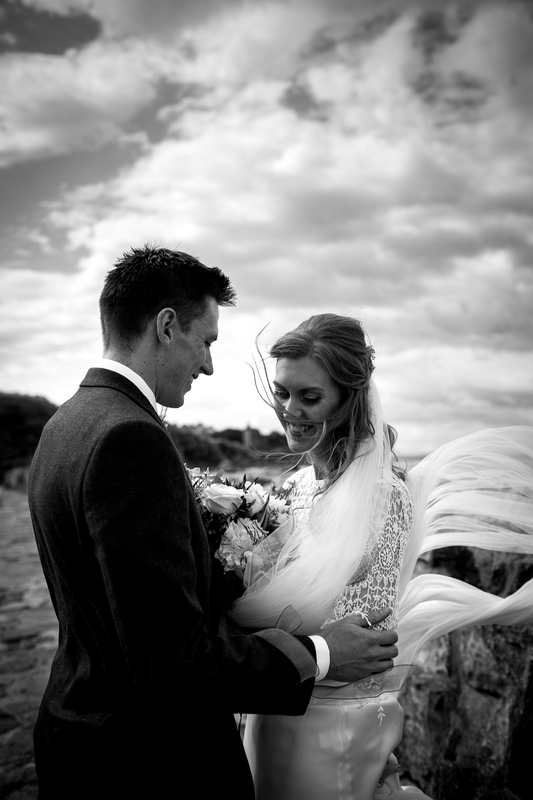 During the wedding planning I often looked at the real weddings on Brides Up North and the inspiration features to get the creative juices flowing!